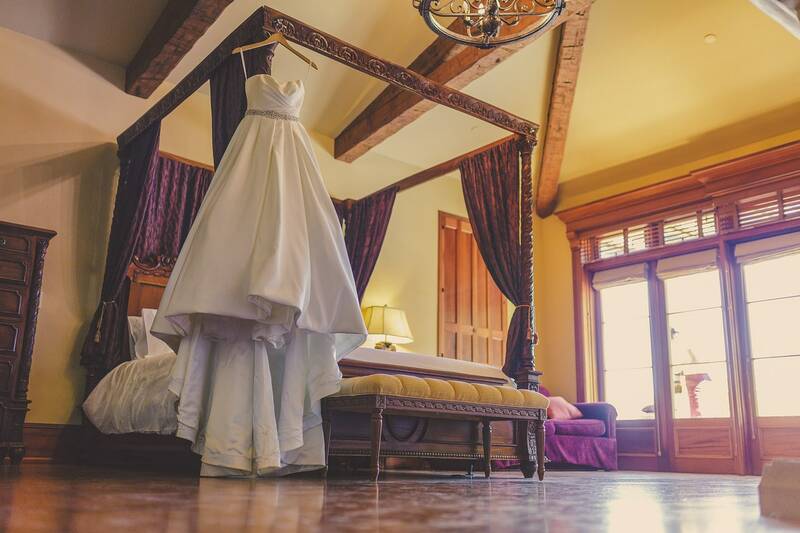 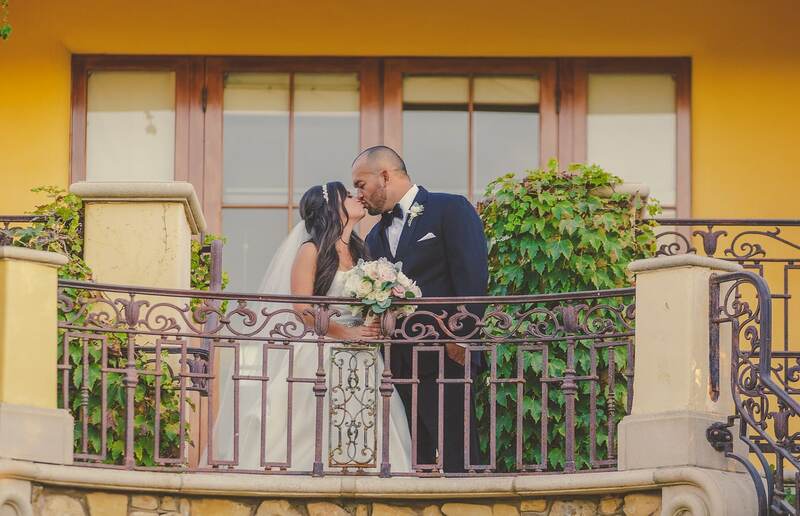 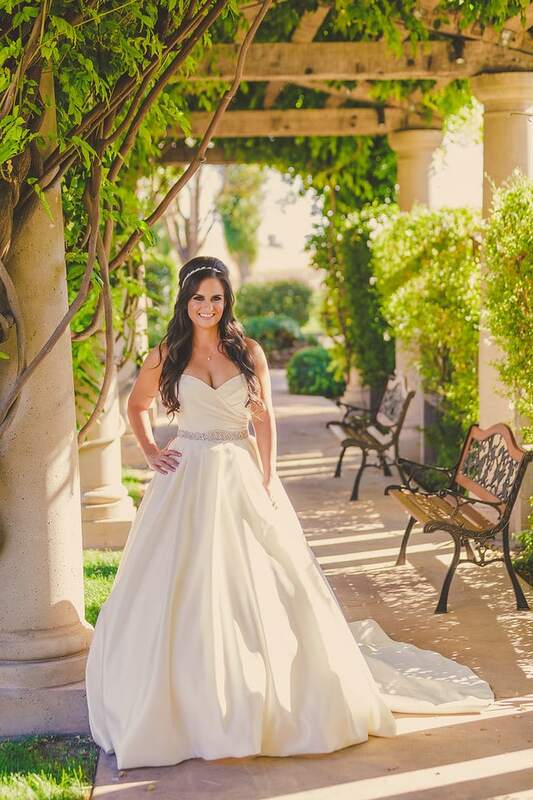 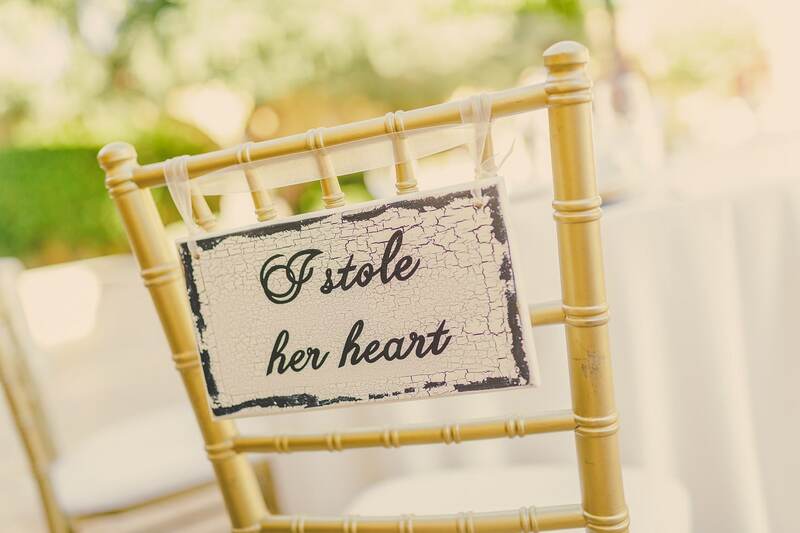 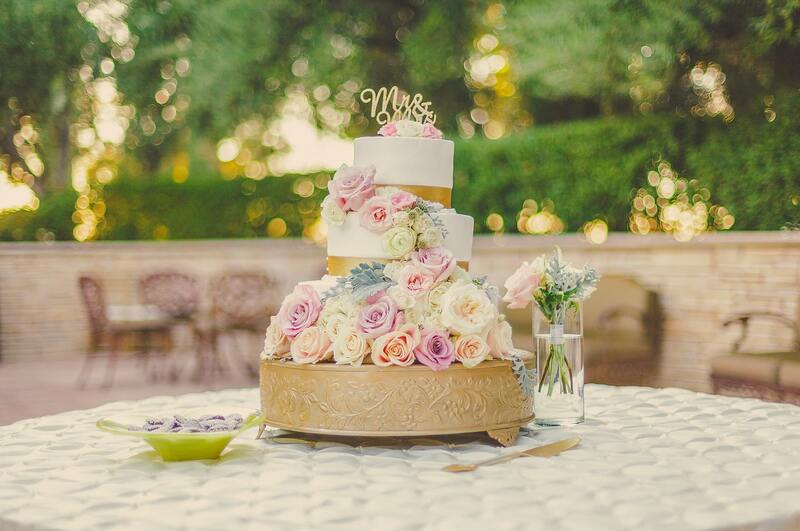 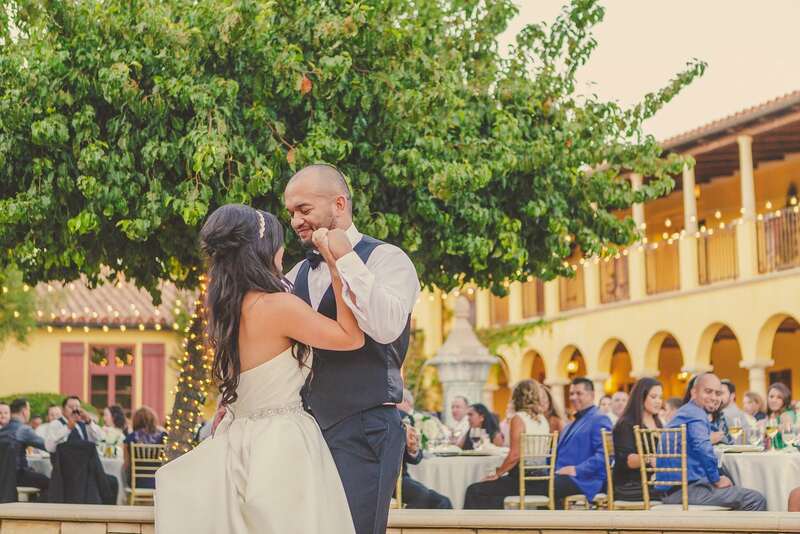 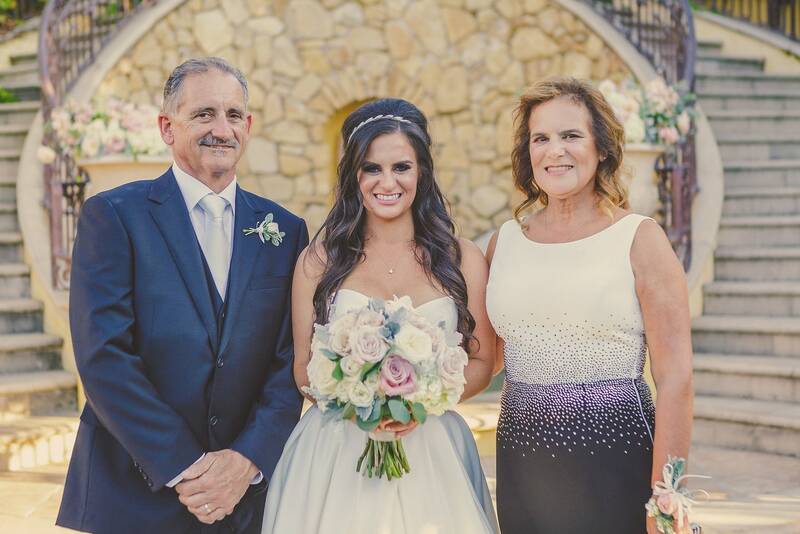 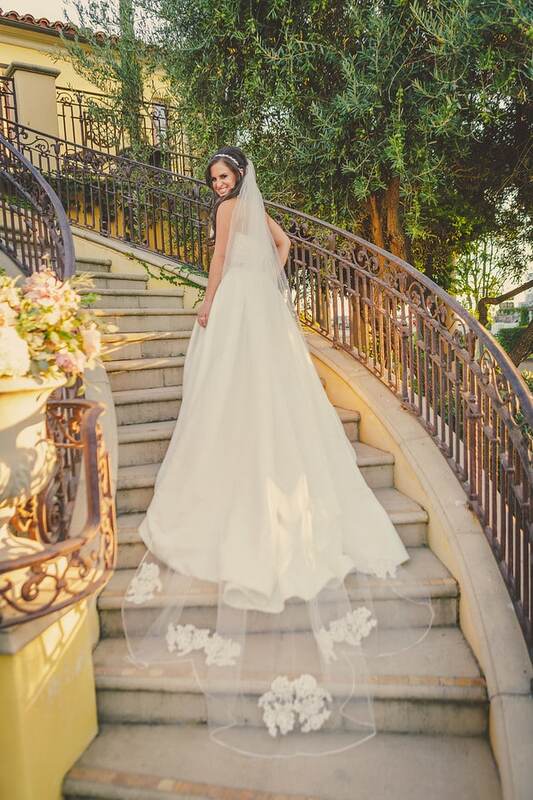 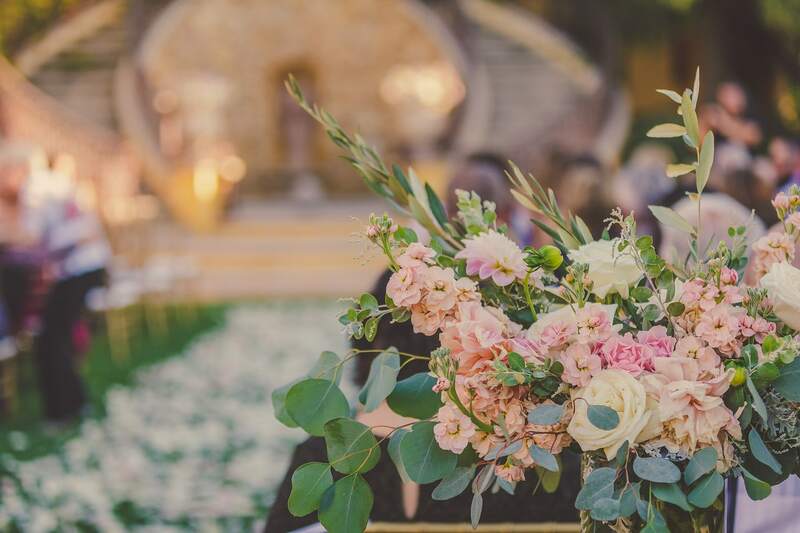 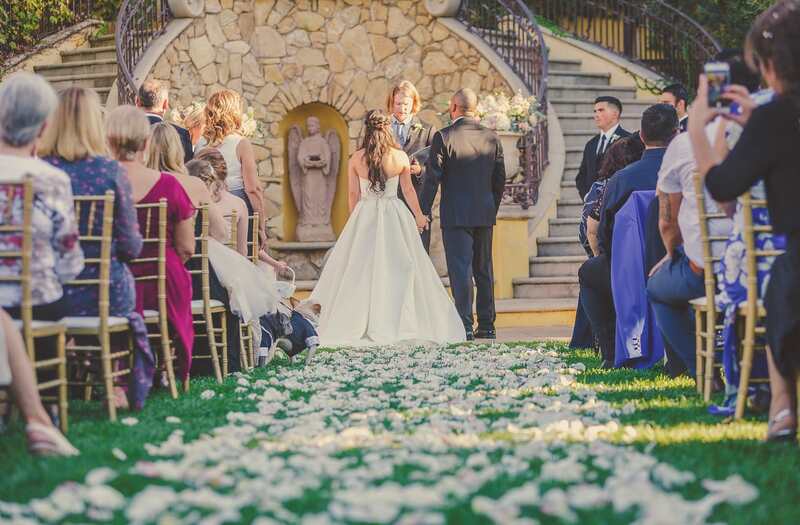 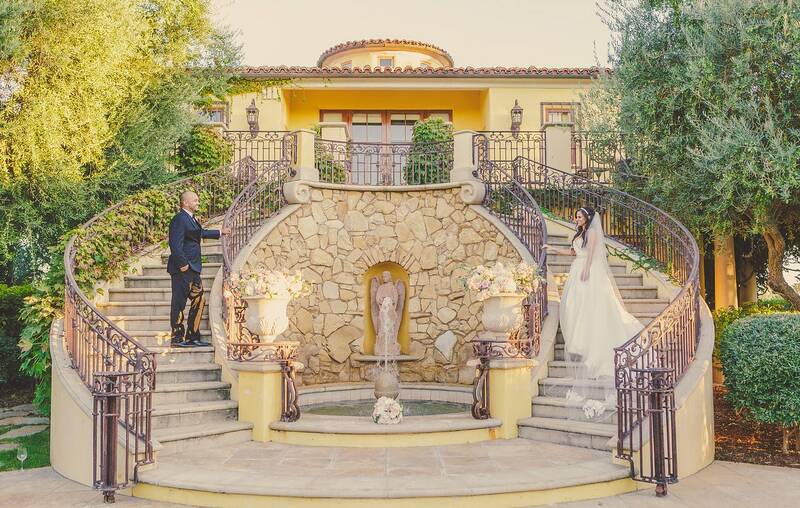 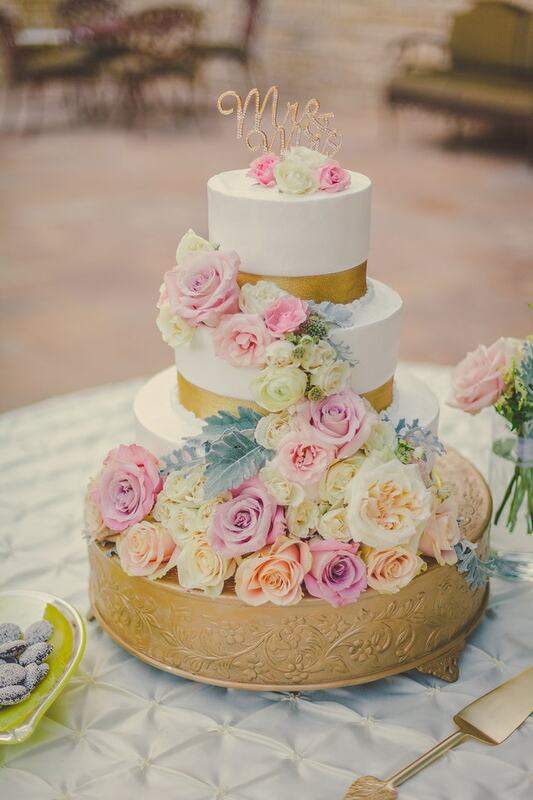 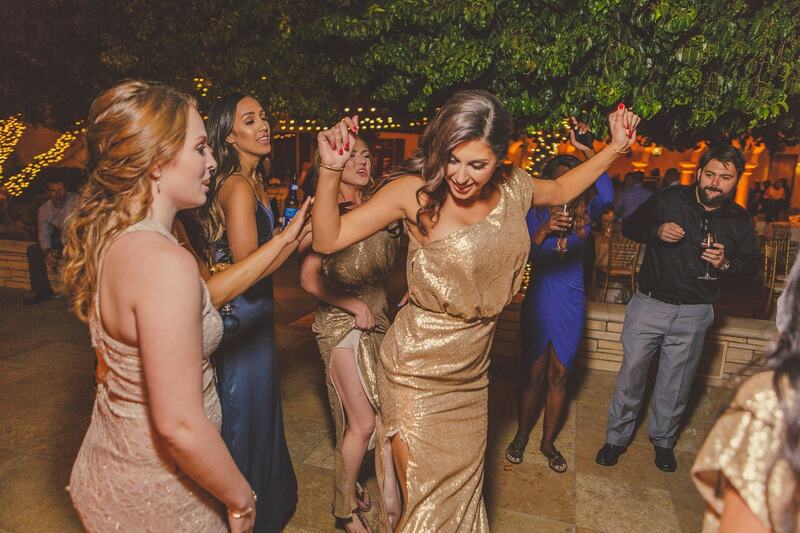 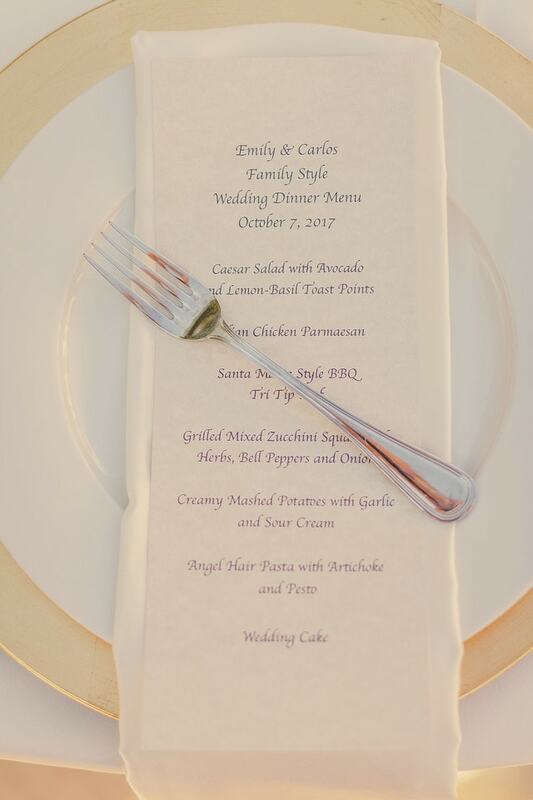 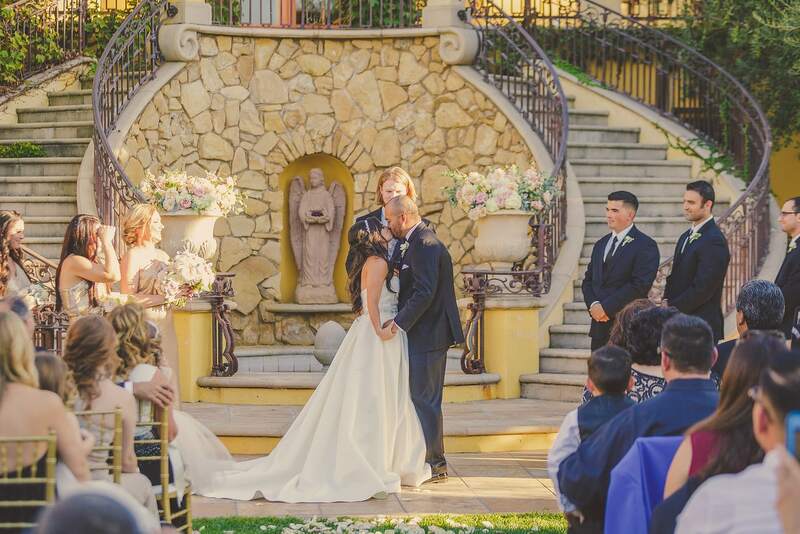 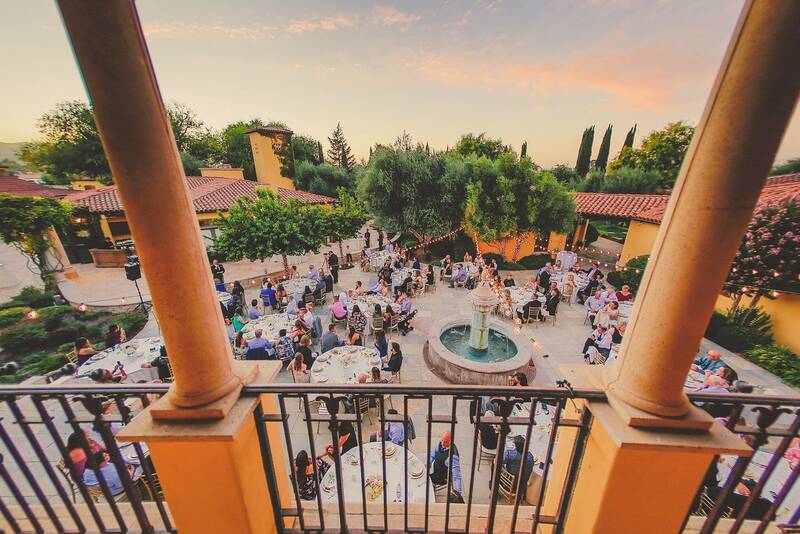 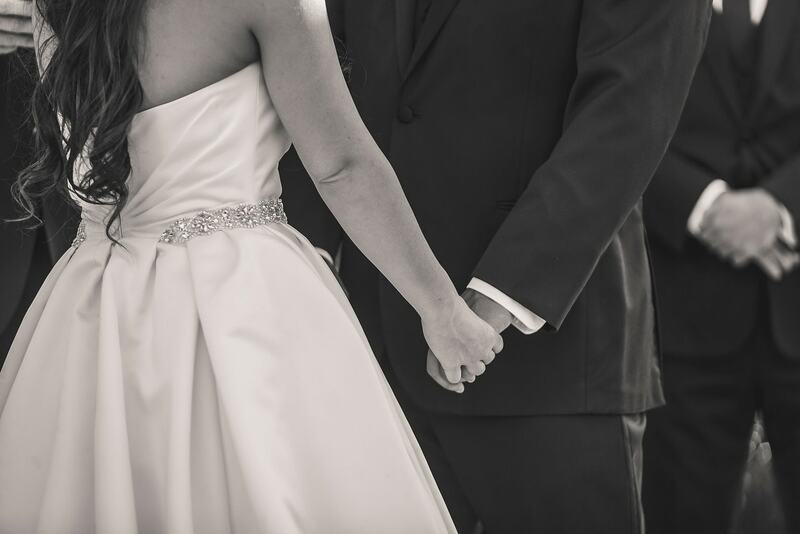 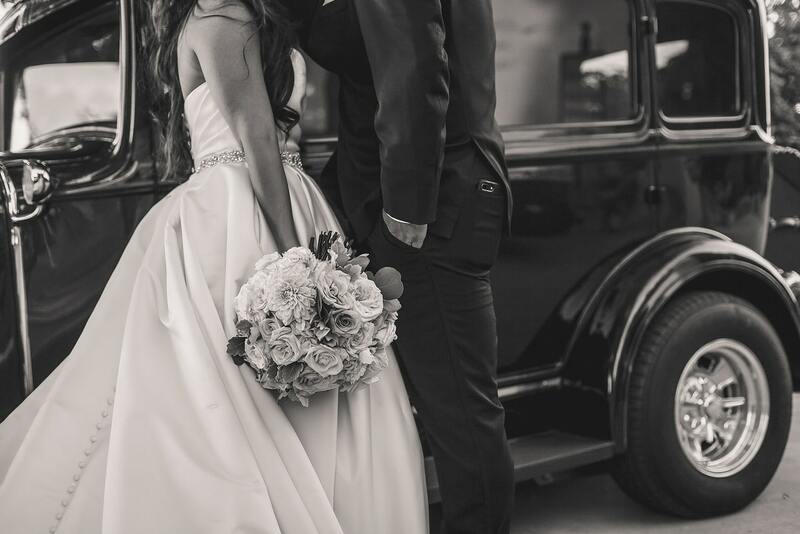 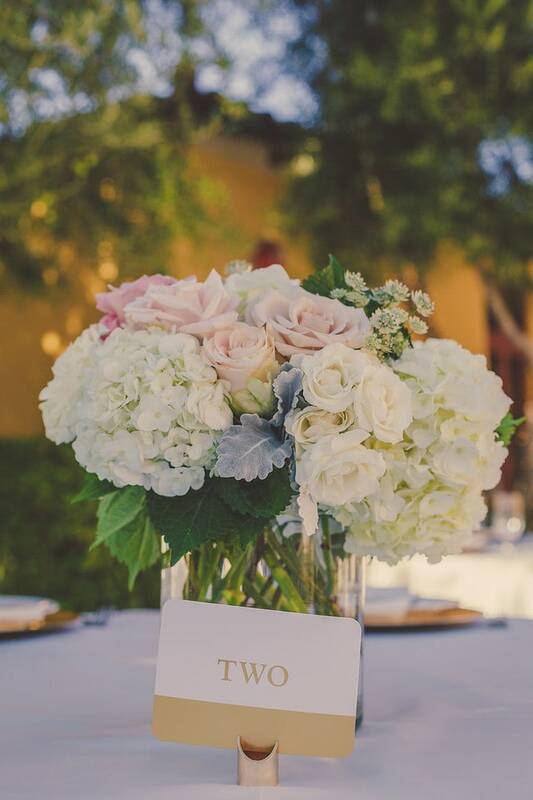 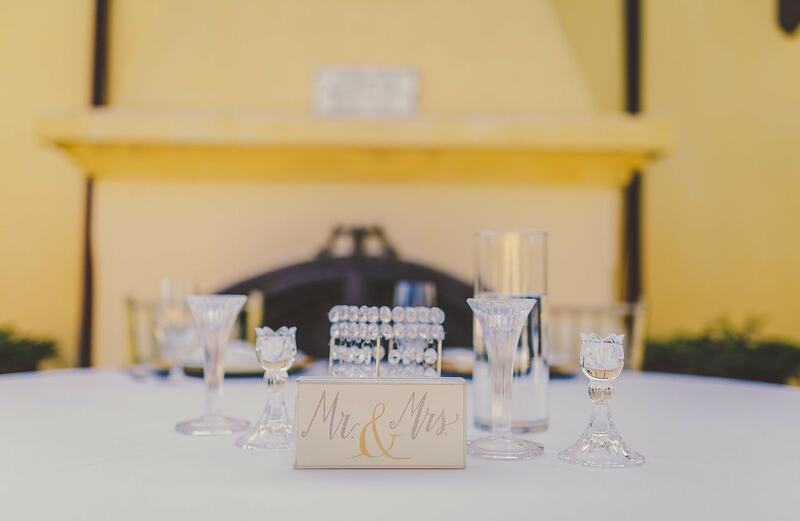 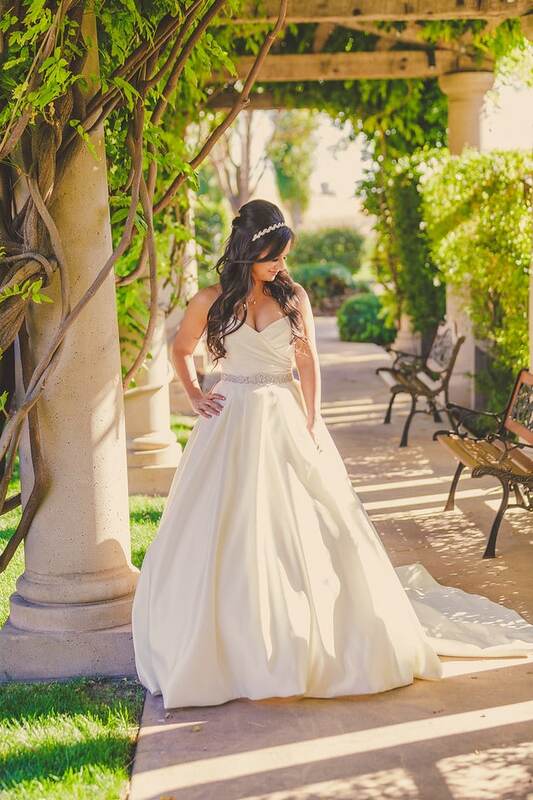 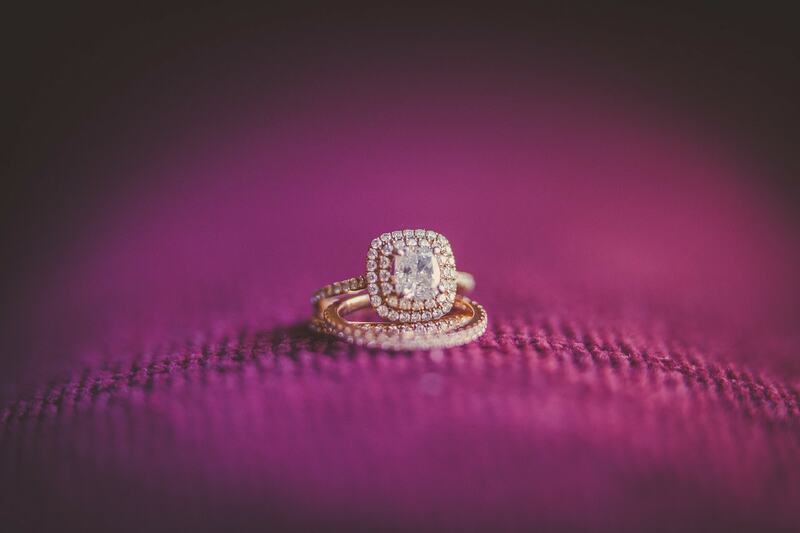 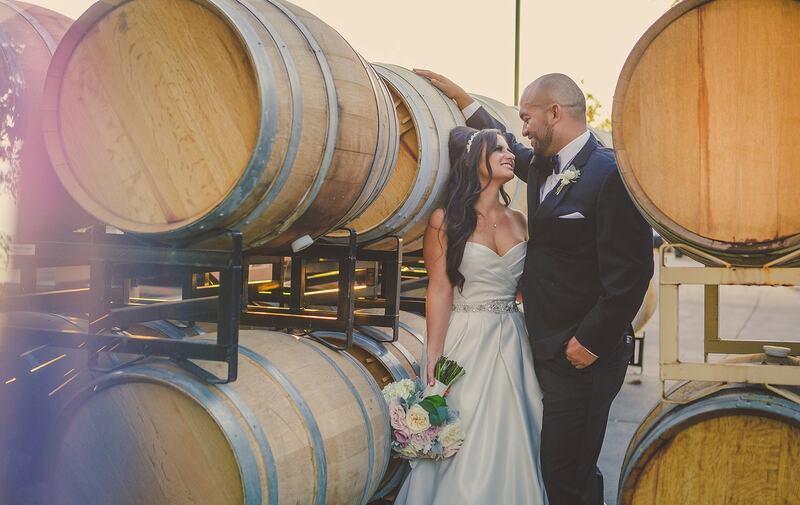 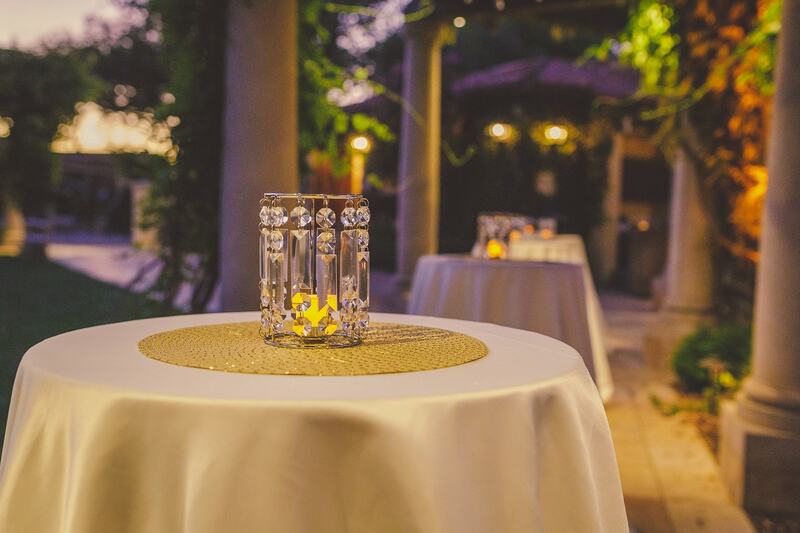 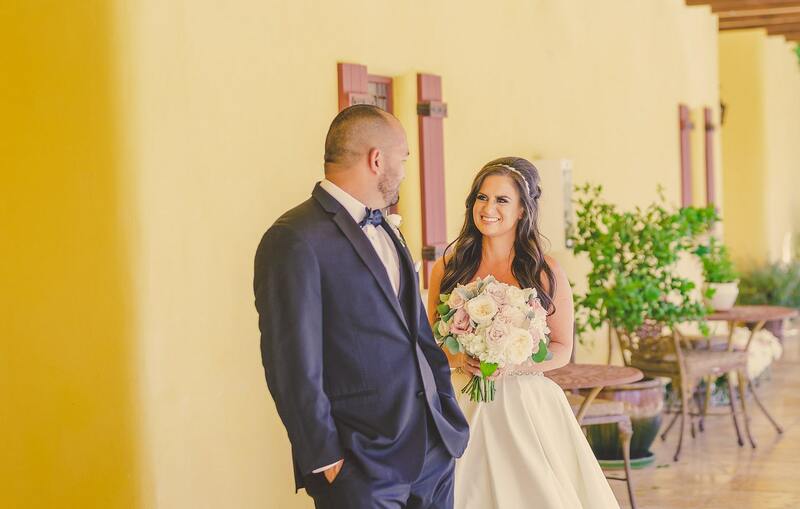 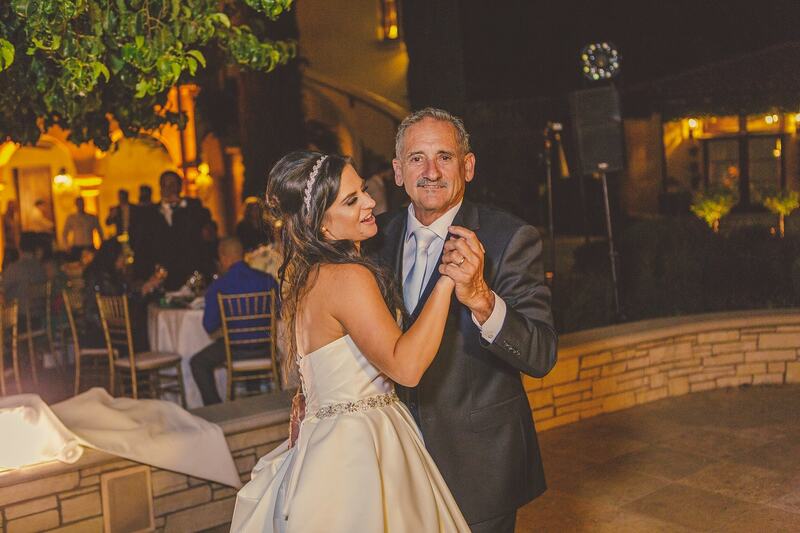 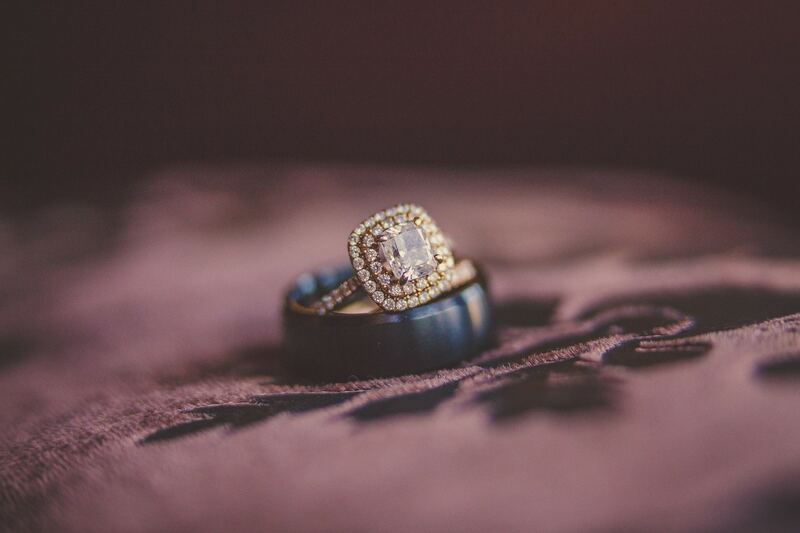 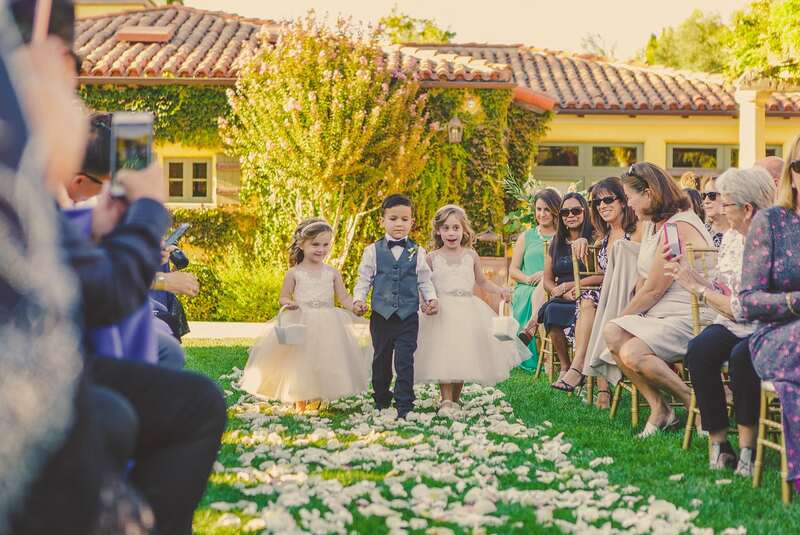 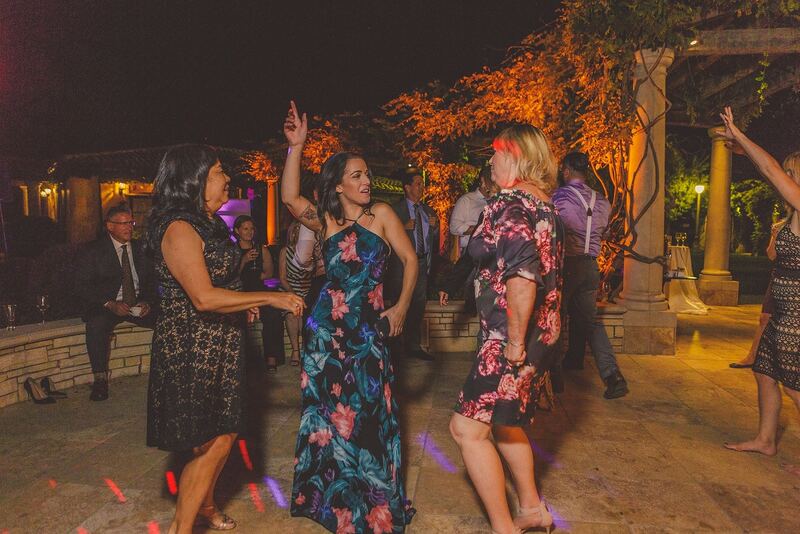 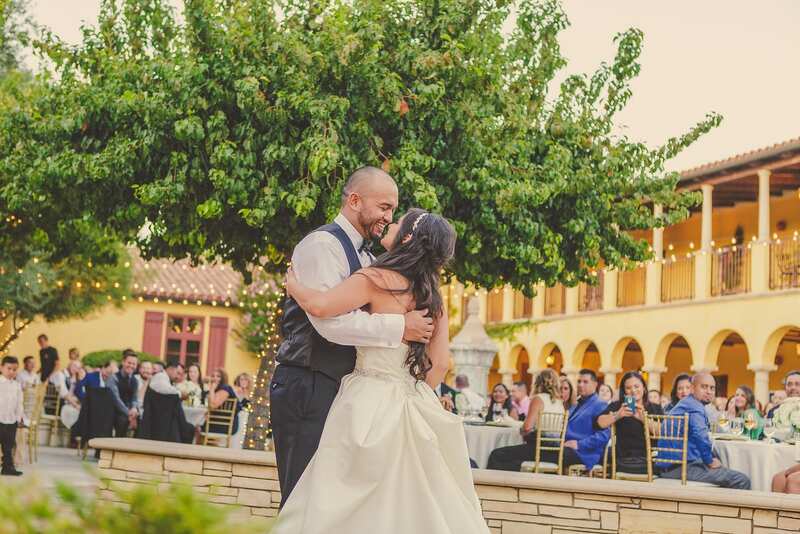 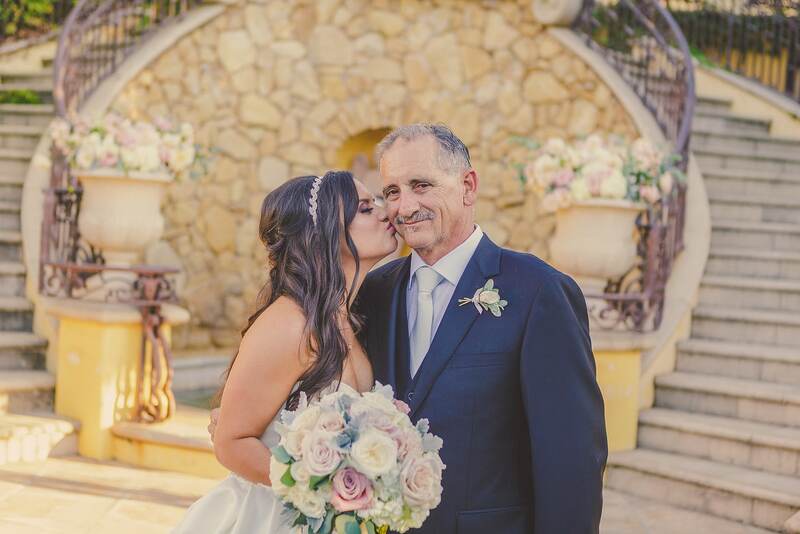 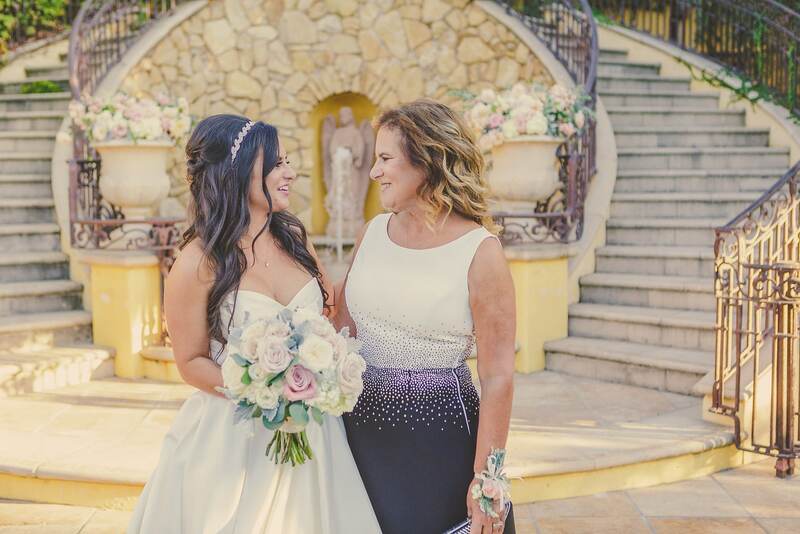 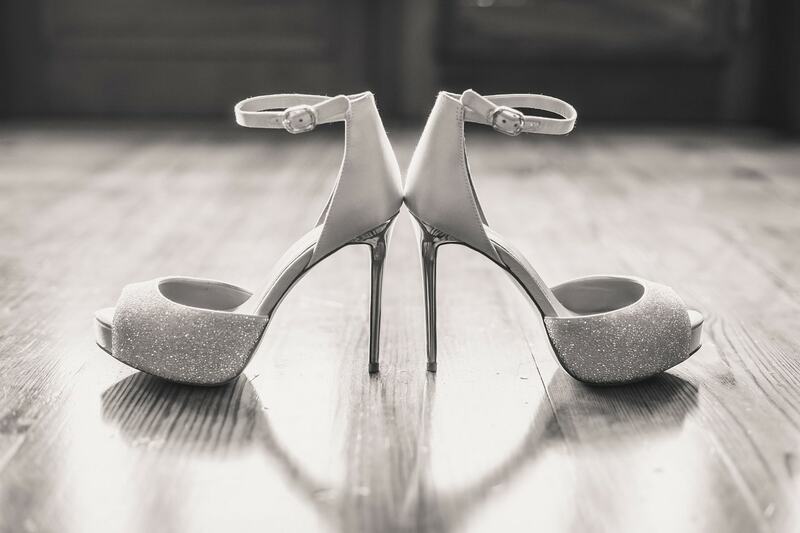 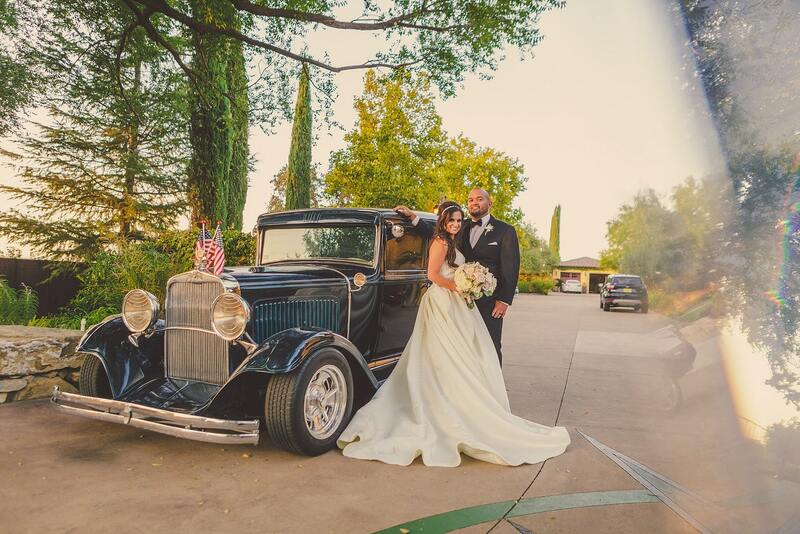 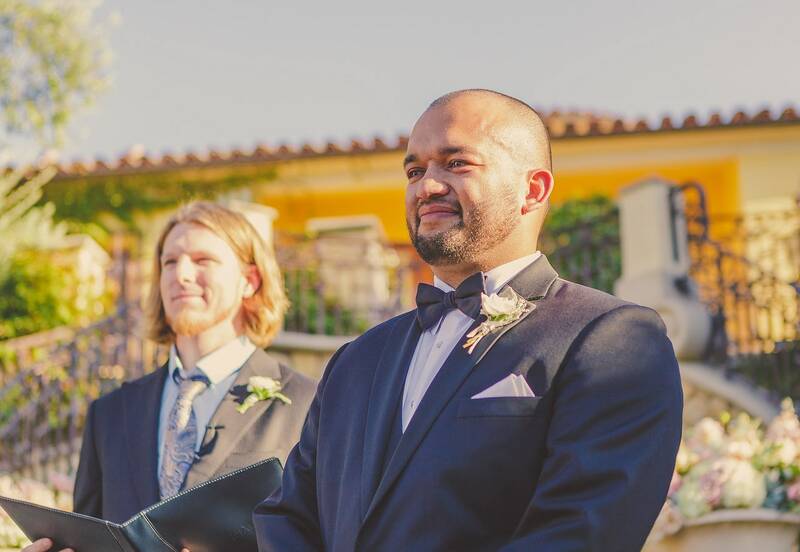 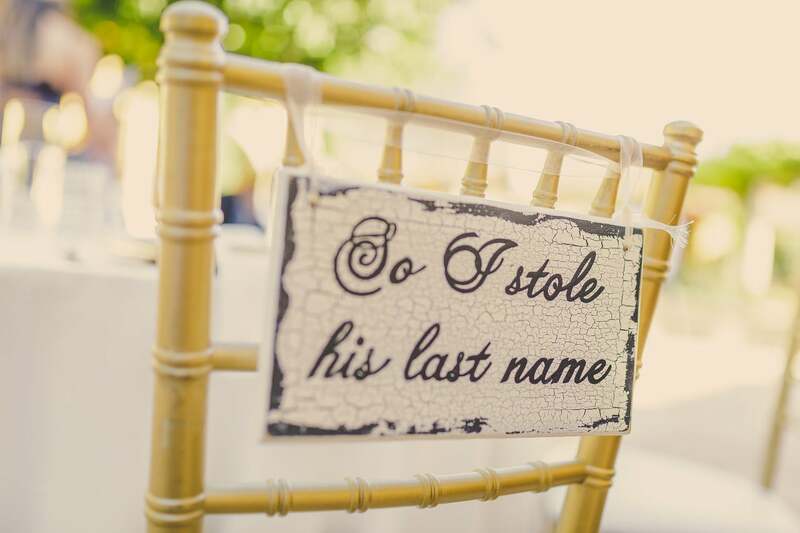 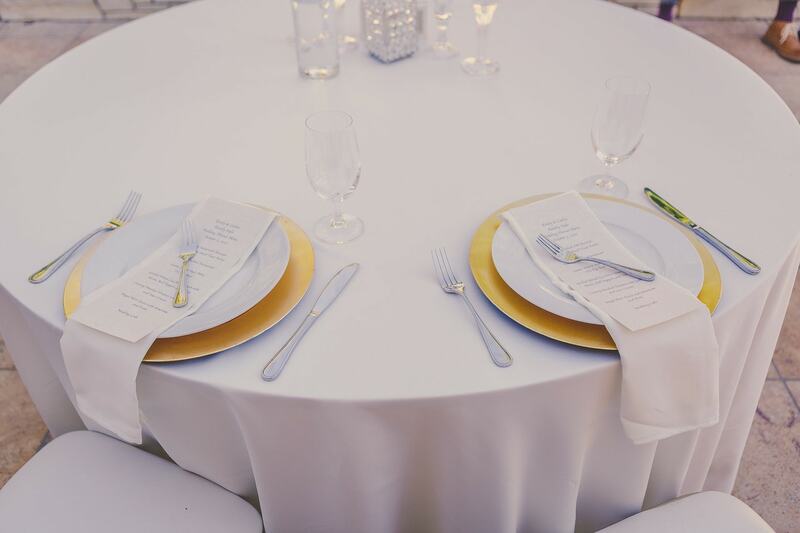 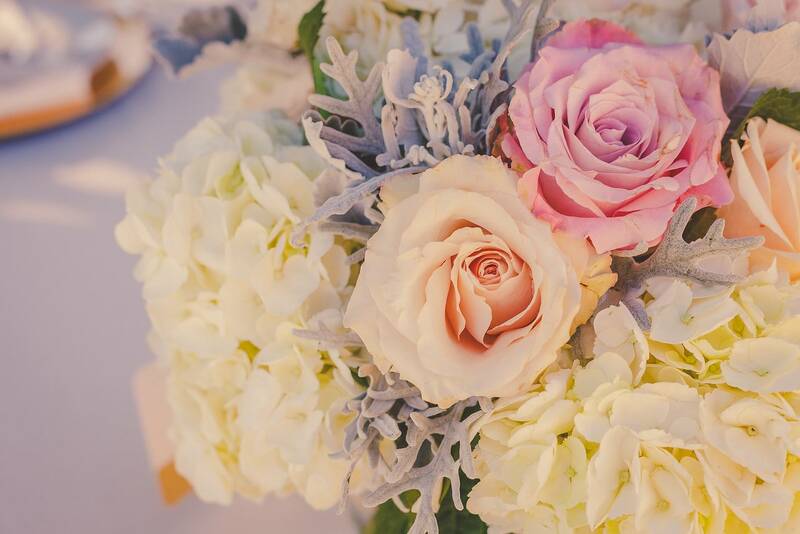 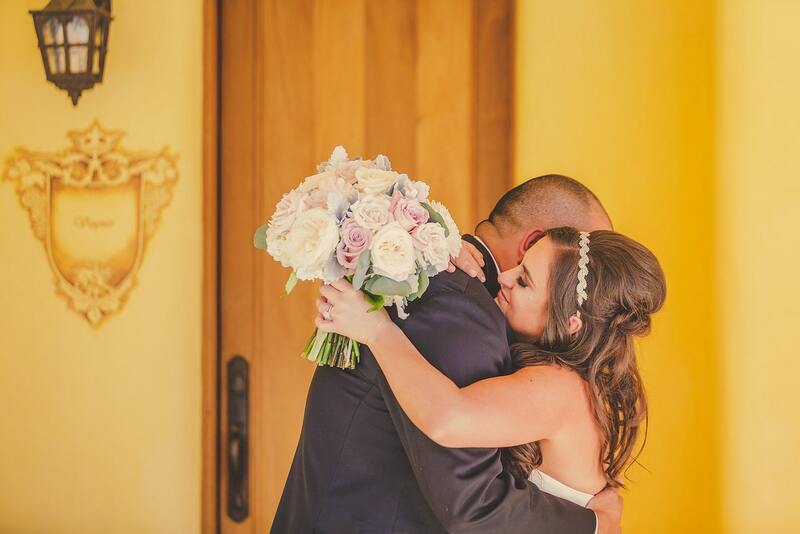 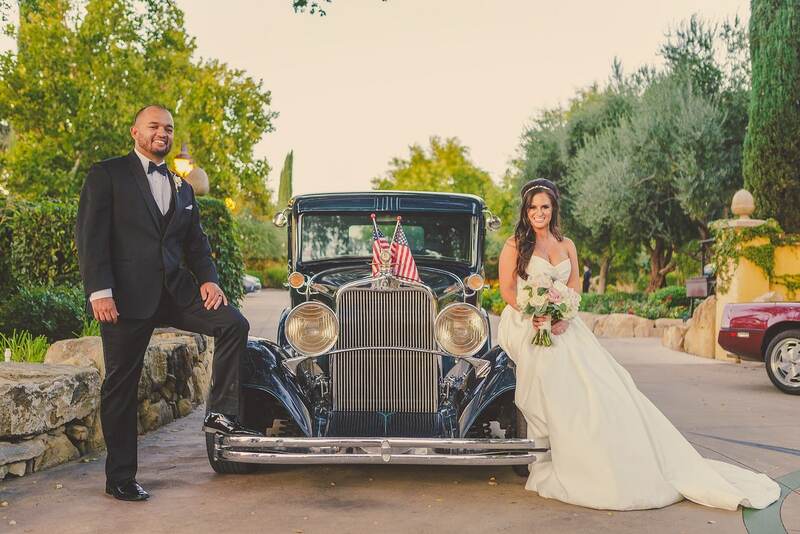 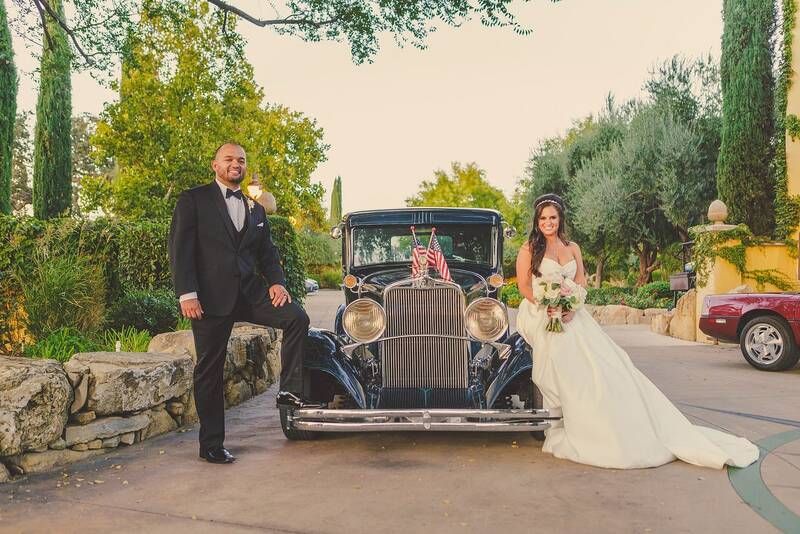 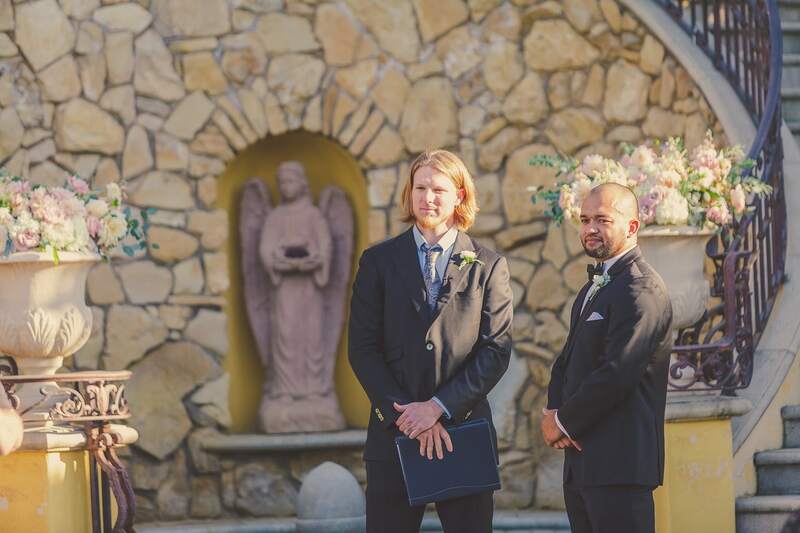 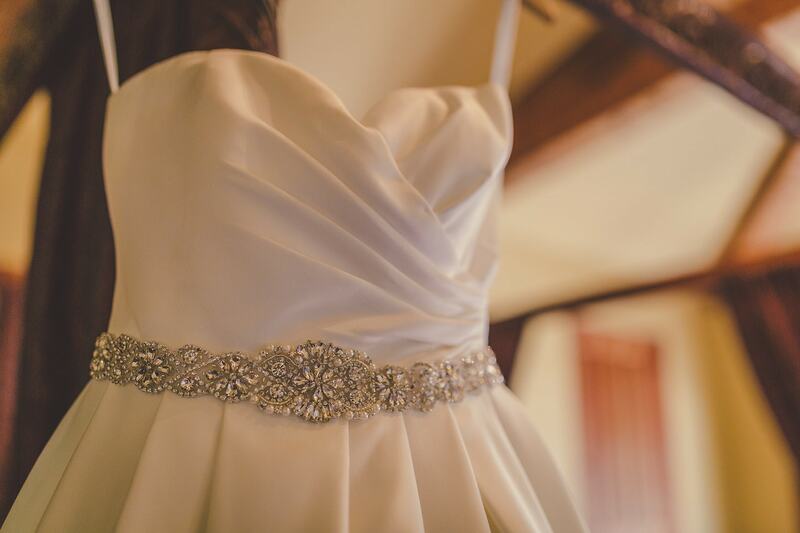 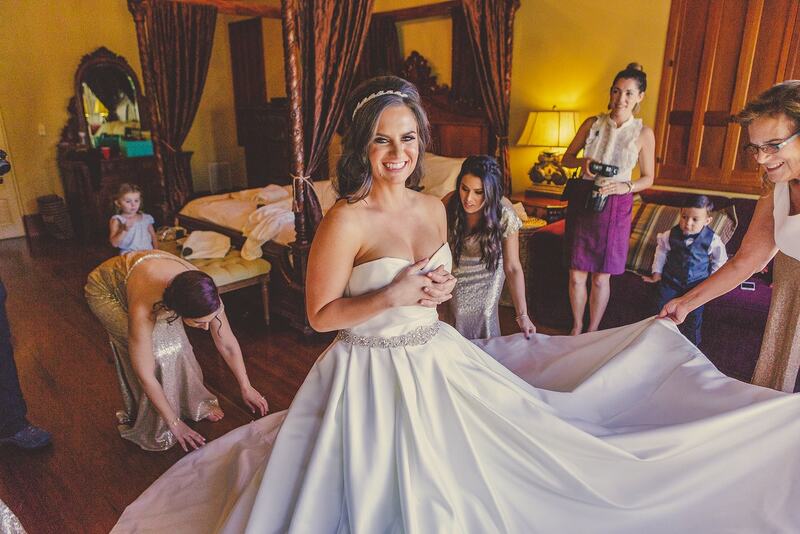 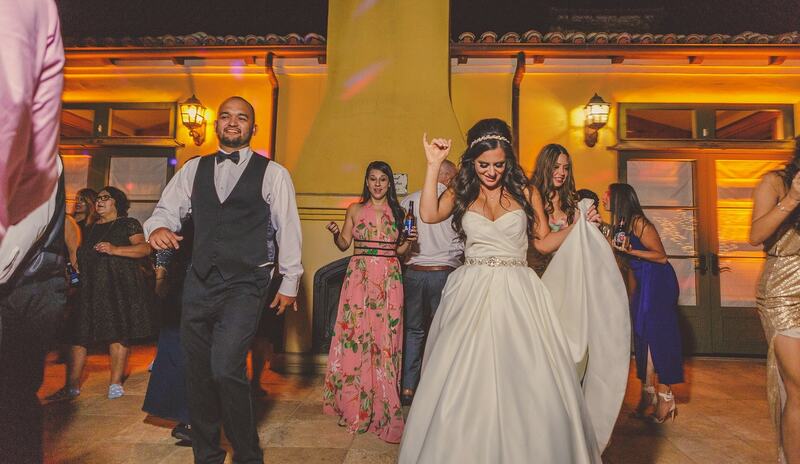 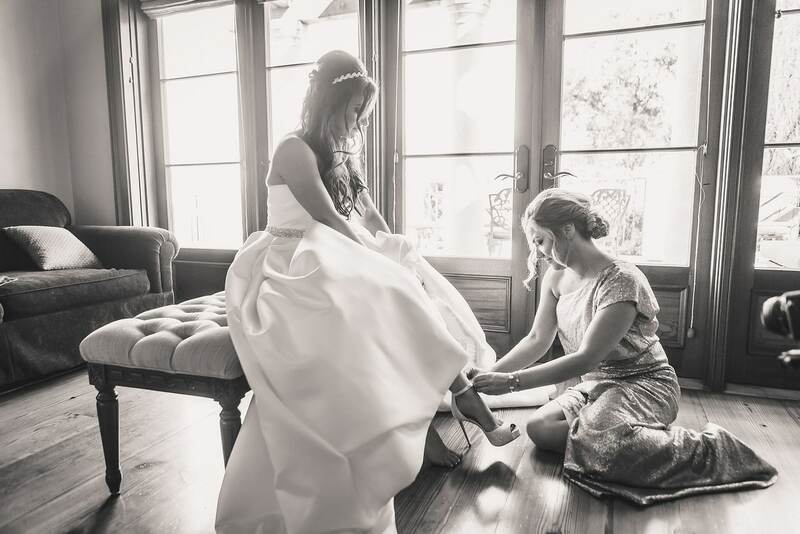 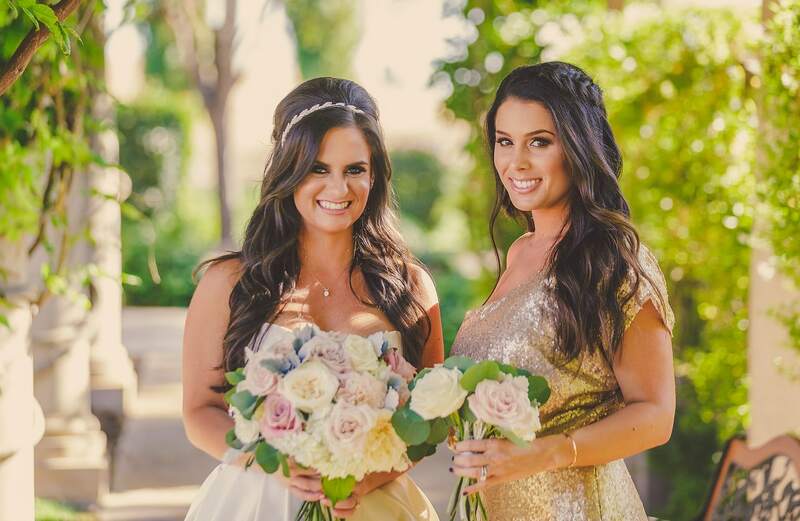 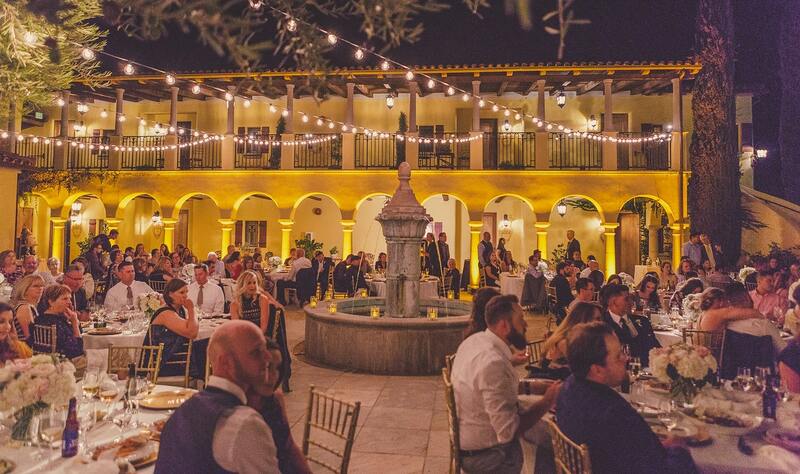 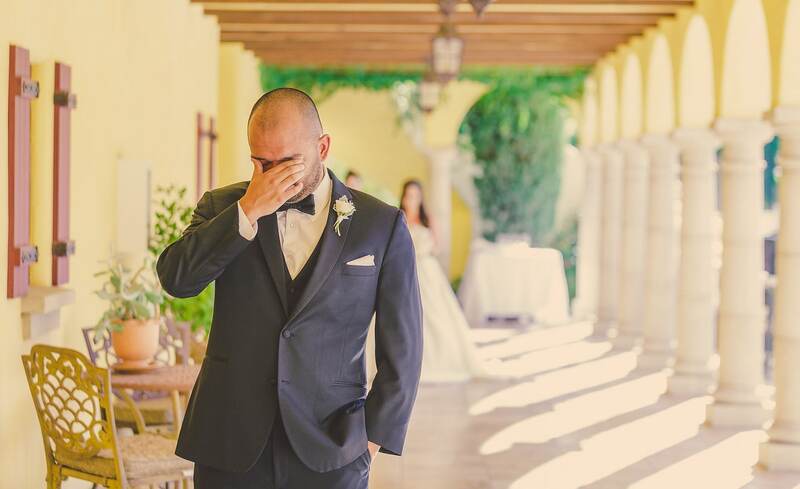 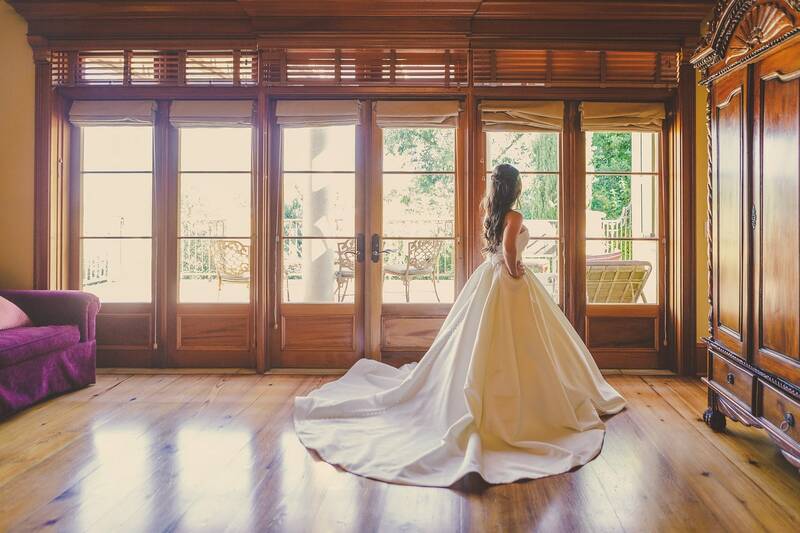 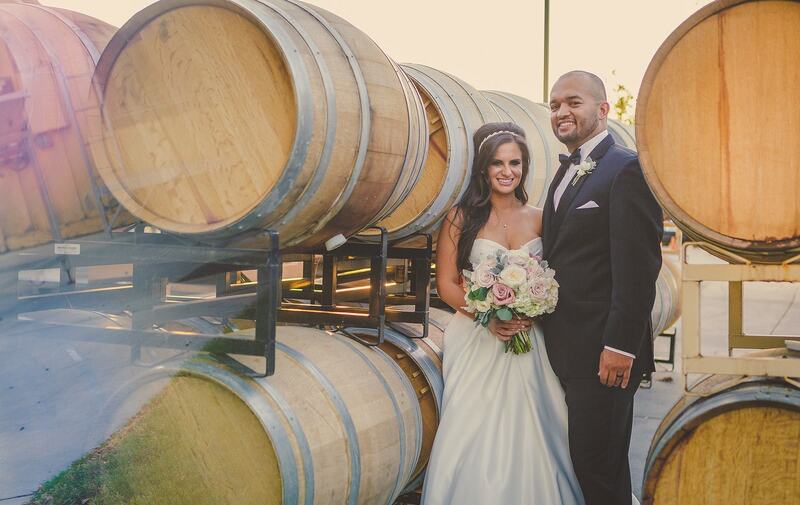 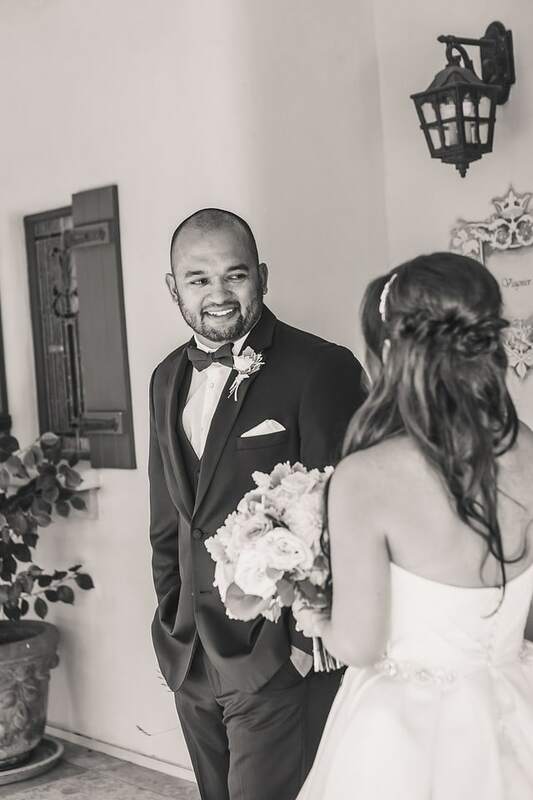 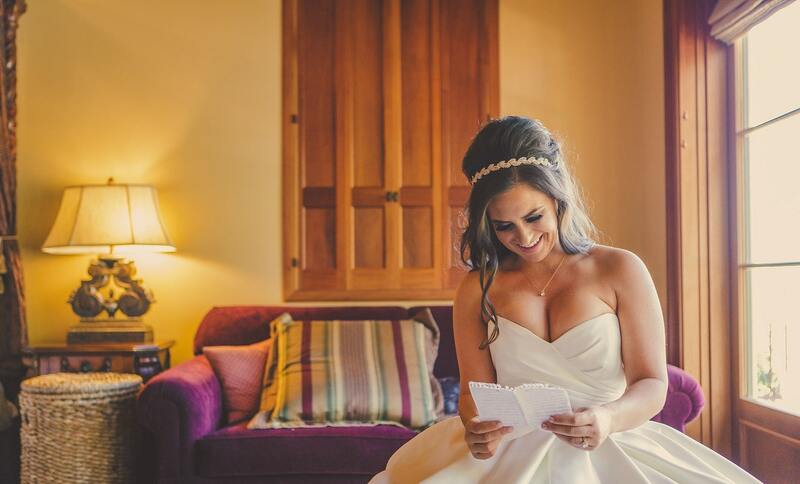 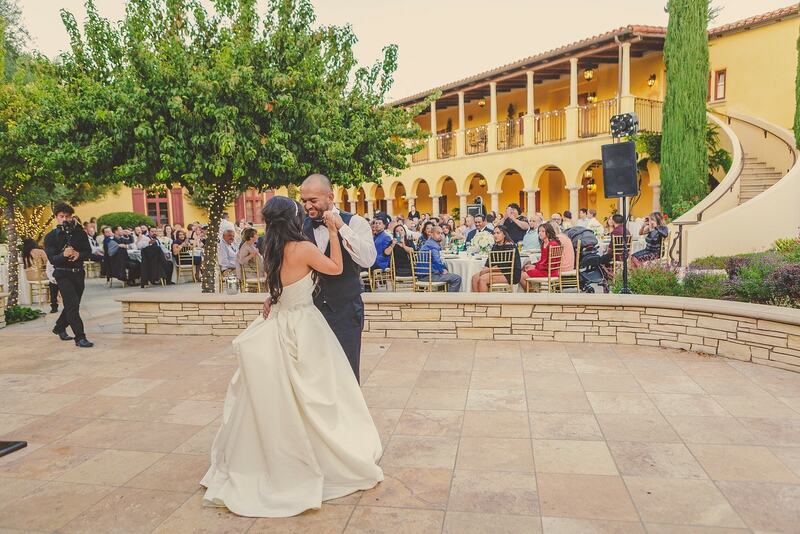 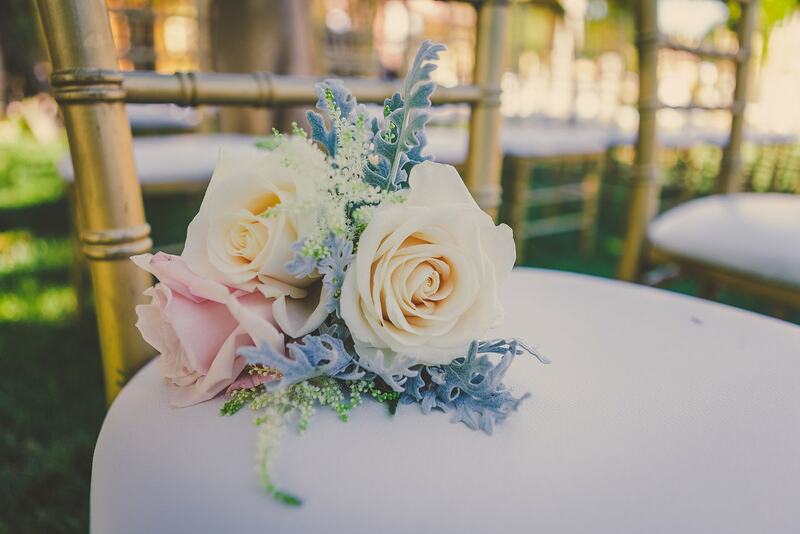 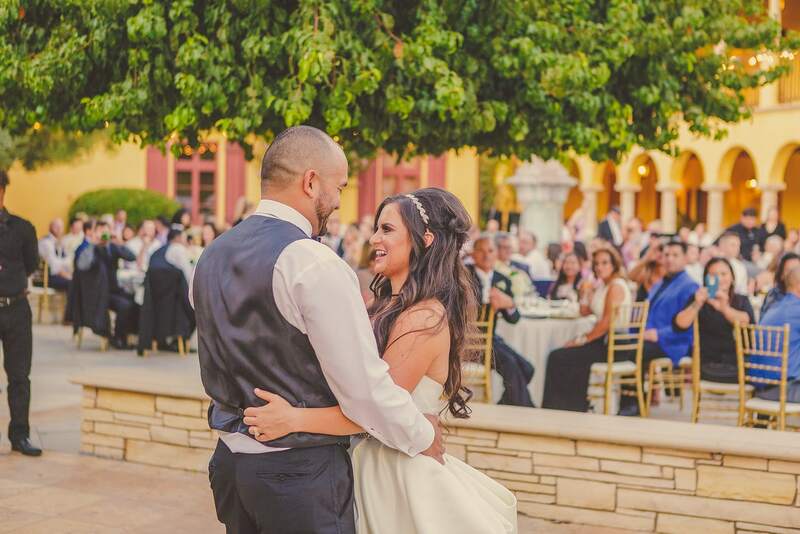 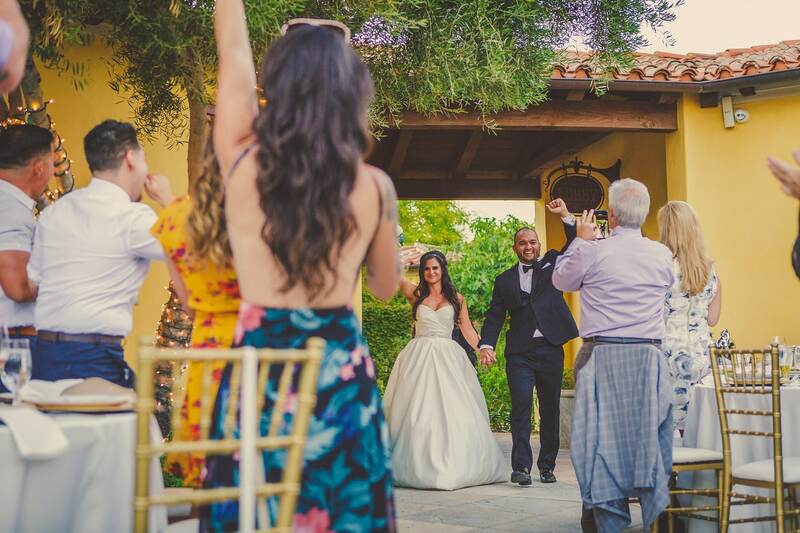 Imagine having your wedding secluded at a private winery and villa with a picturesque French inspired terrace, romantic fountains, winding staircases, and luxurious rooms overlooking 50+ acres of Paso Robles wine country – is this a dream? 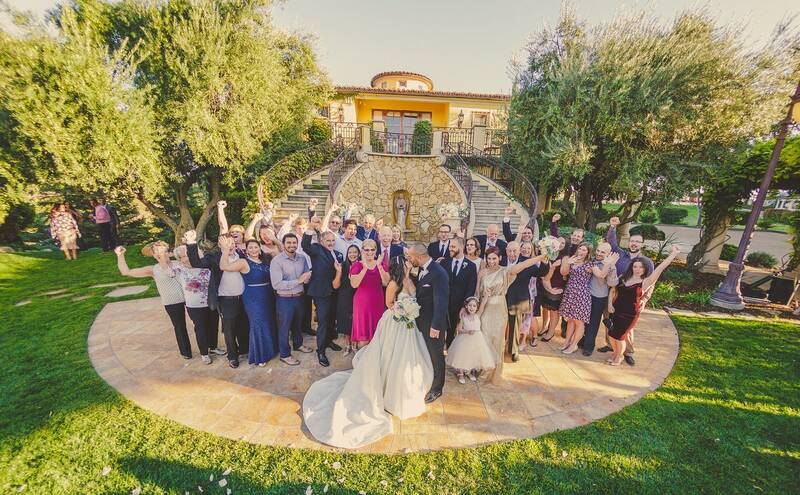 No, its CaliPaso Winery and Villa! 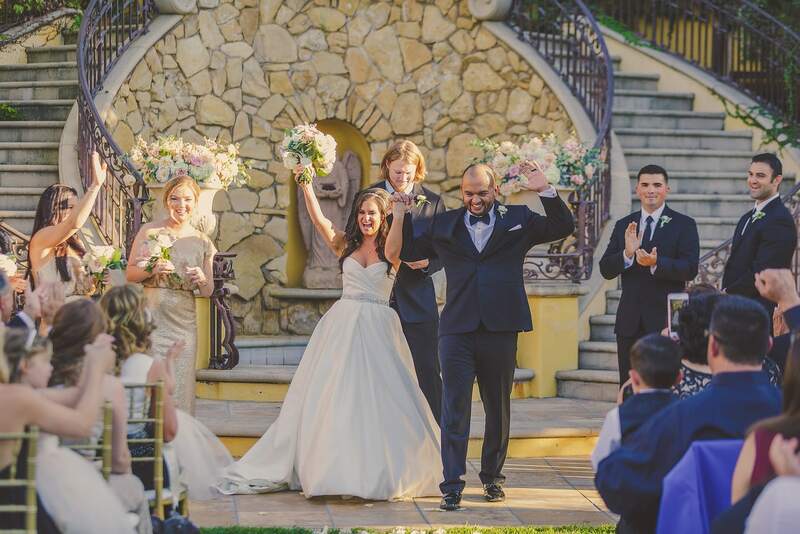 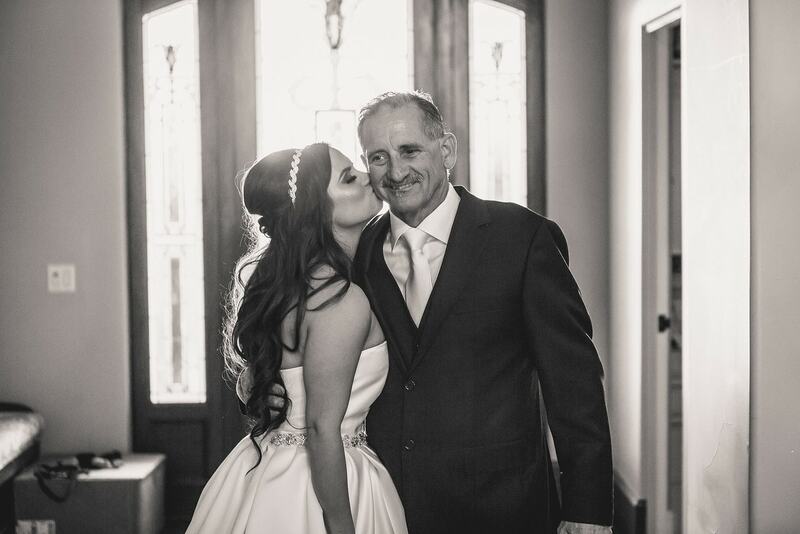 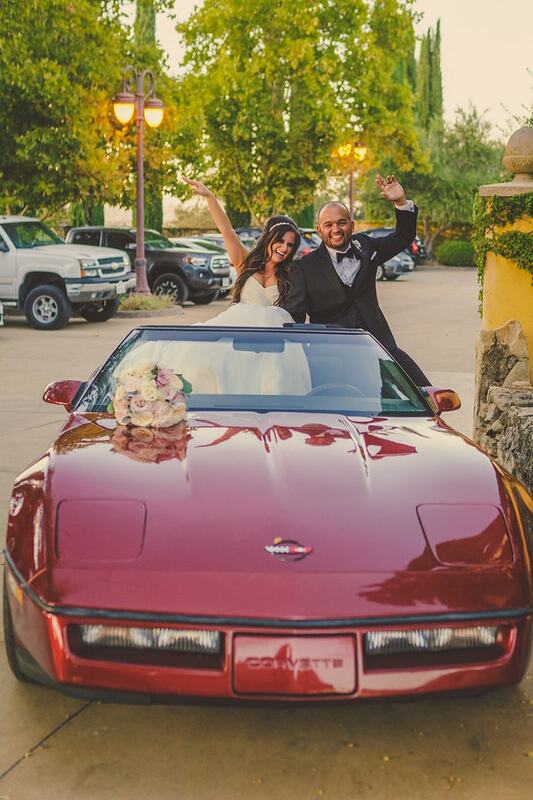 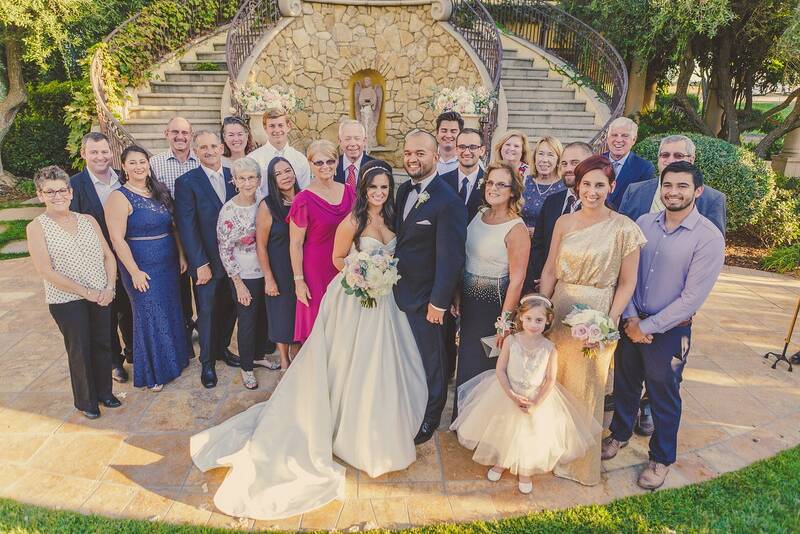 A fabulous Central Coast Wedding Venue that Emily and Carlos chose as their wedding destination. 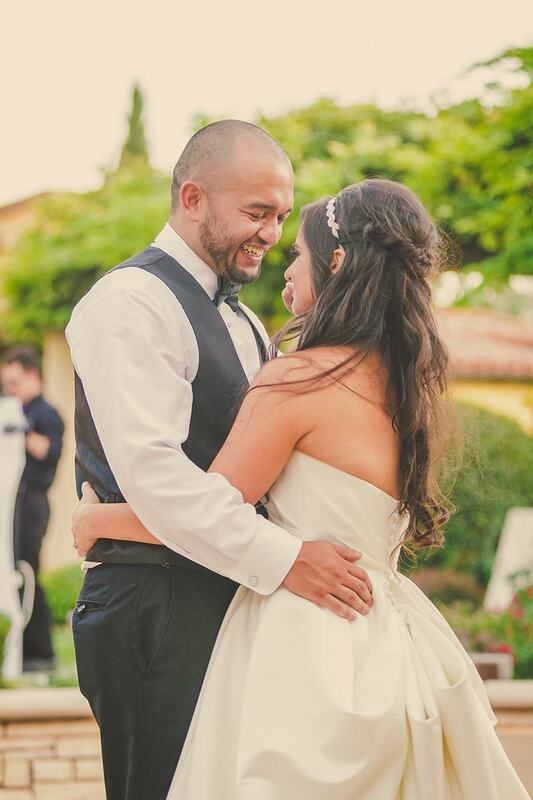 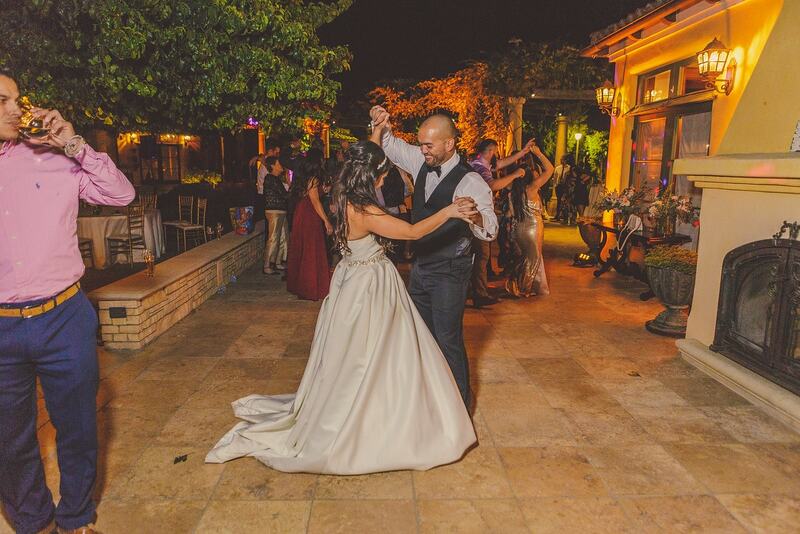 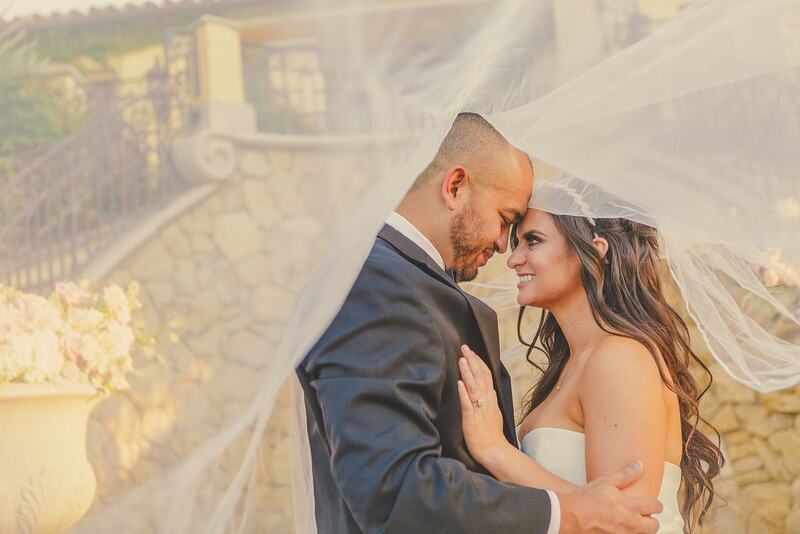 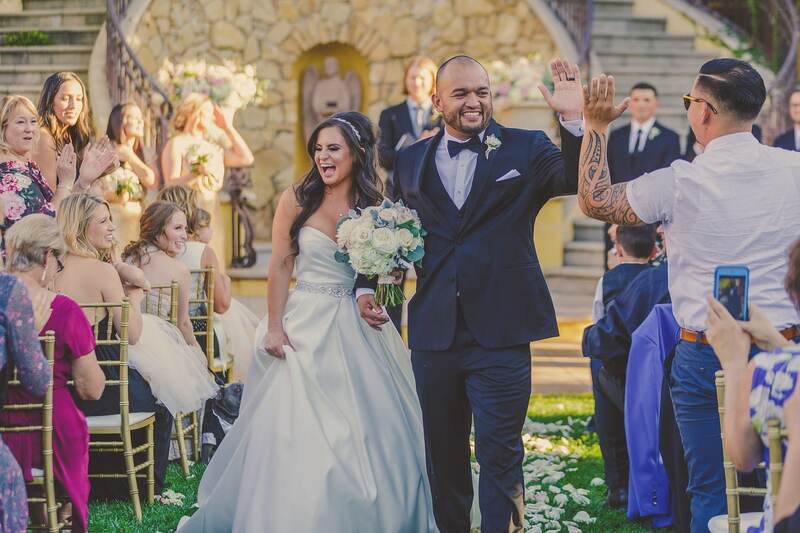 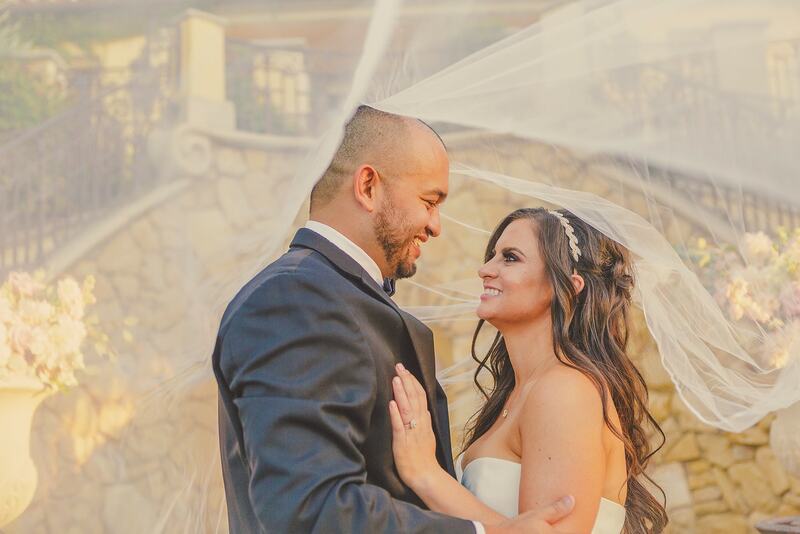 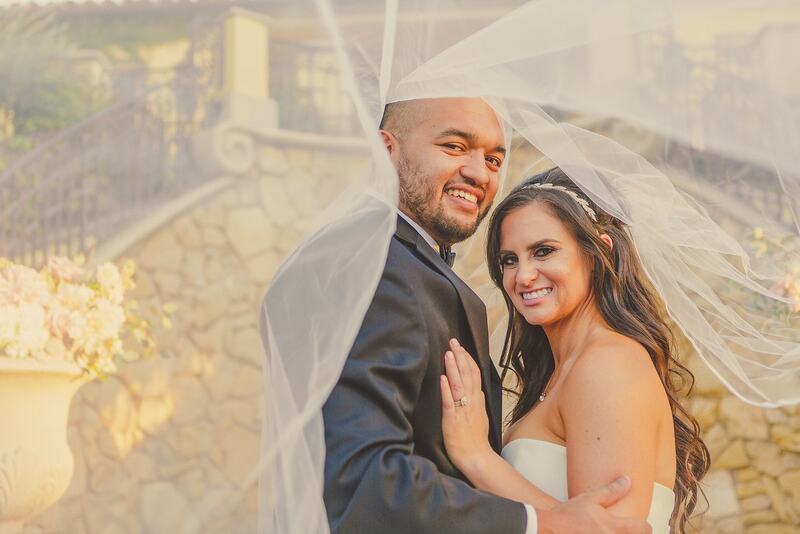 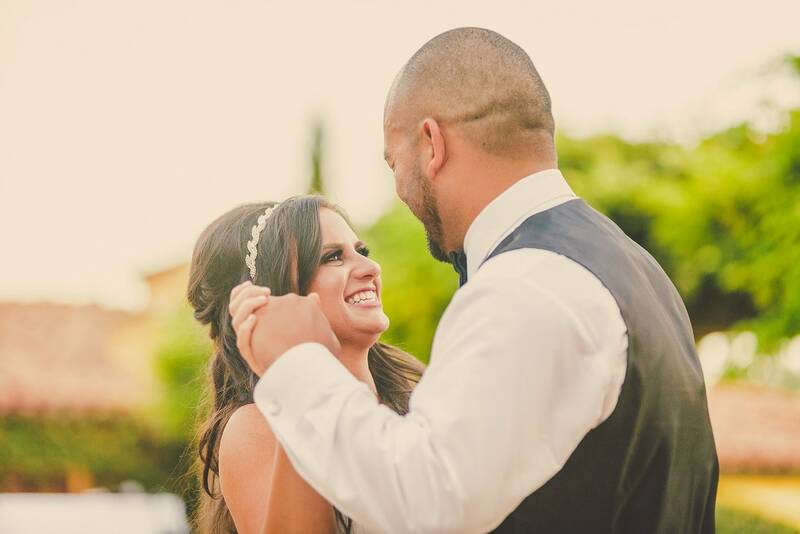 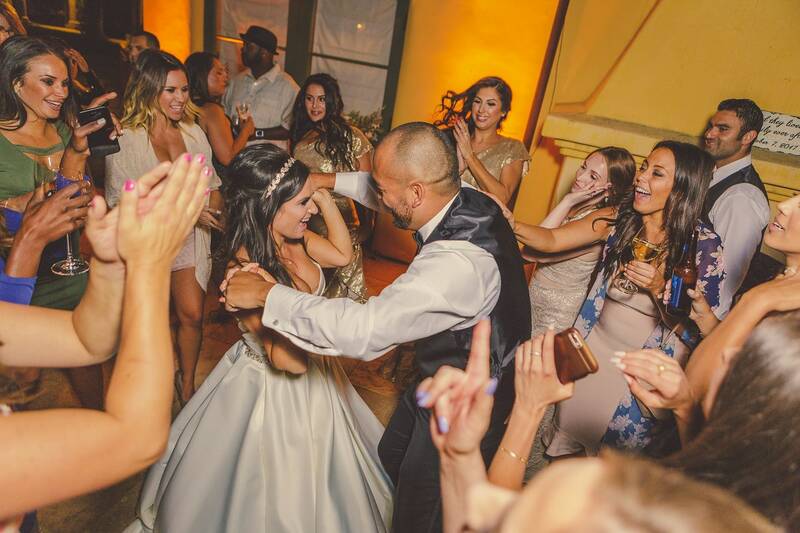 Emily and Carlos met while she was working for the baseball team he played for, but their fate was sealed when they randomly bumped into one another on New Years Eve in Tahoe and shared a life-changing NYE kiss. 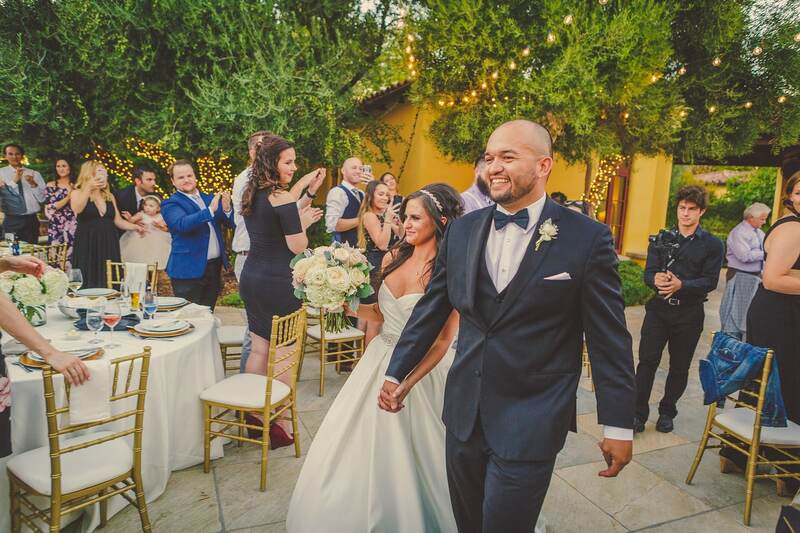 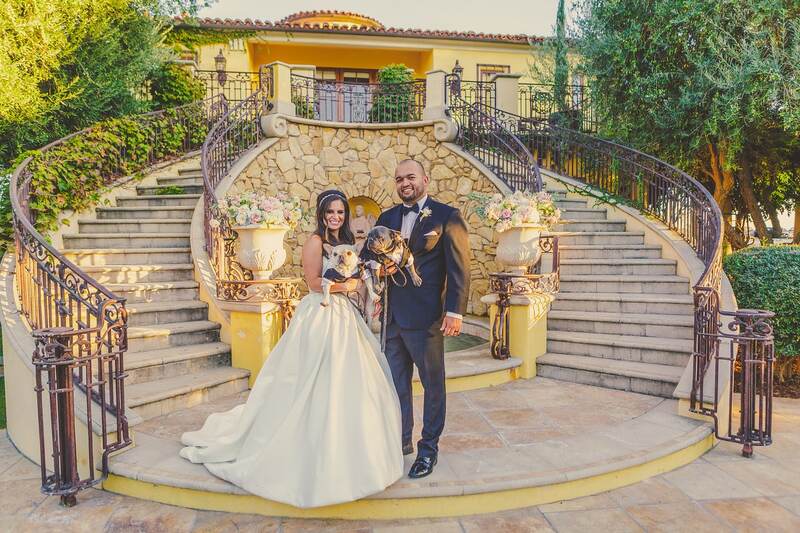 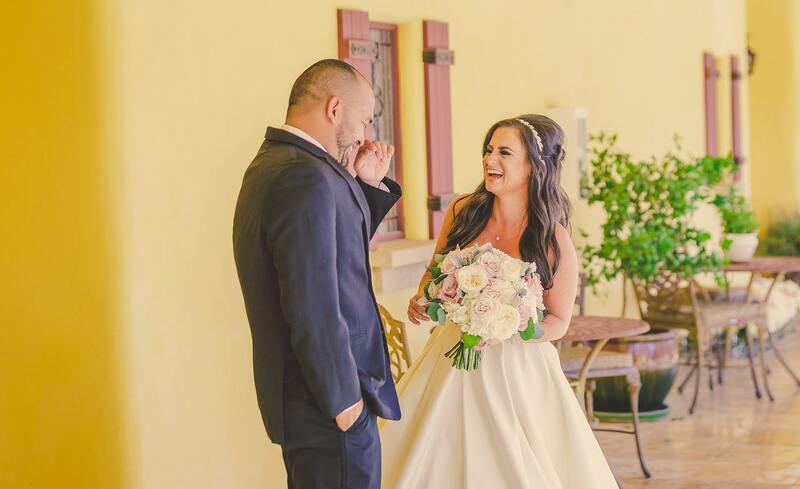 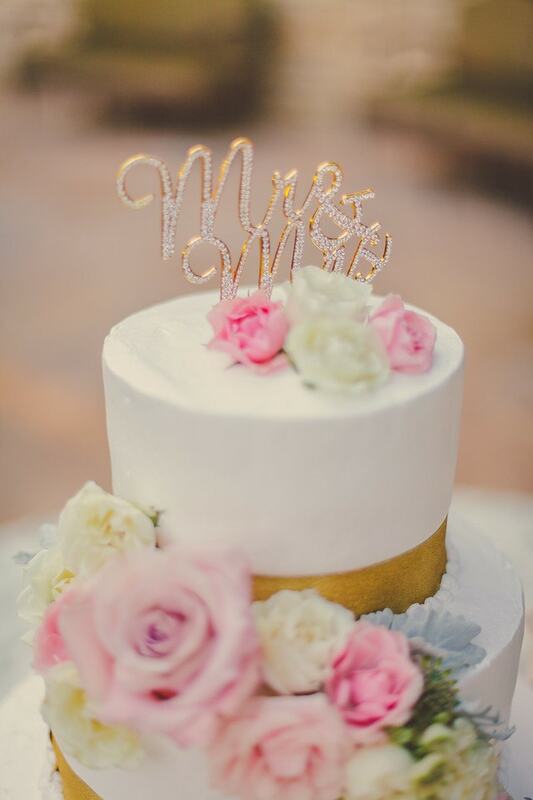 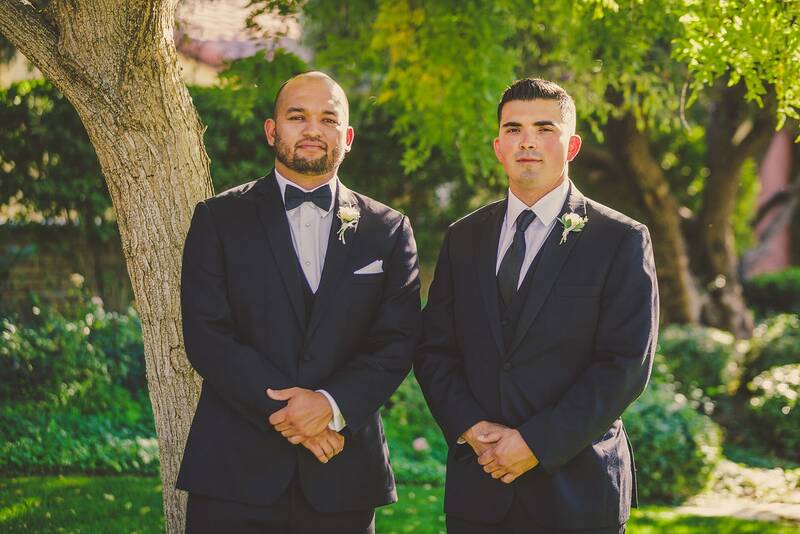 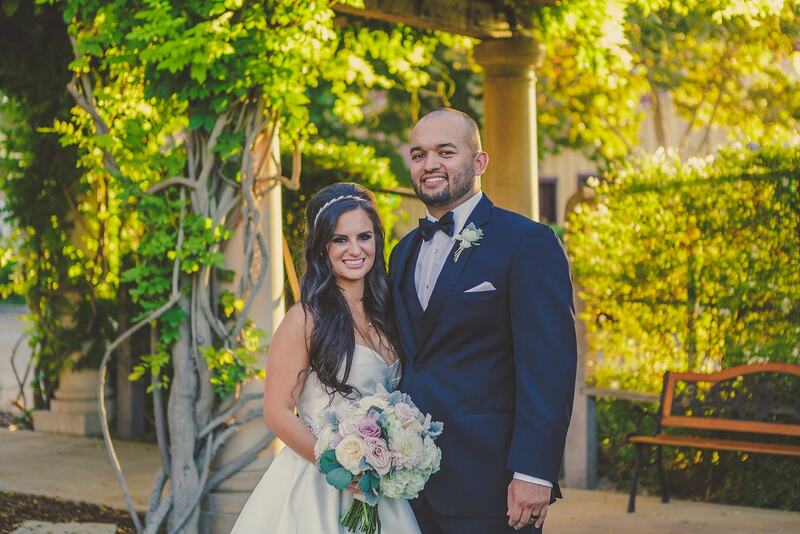 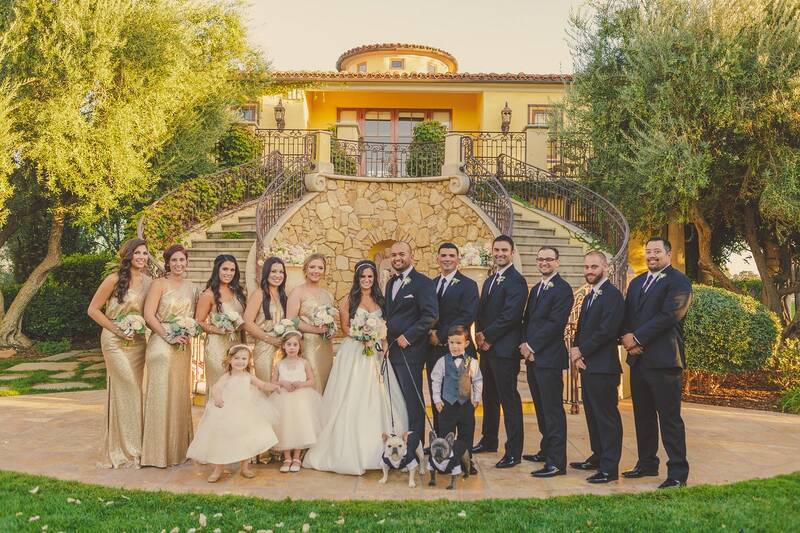 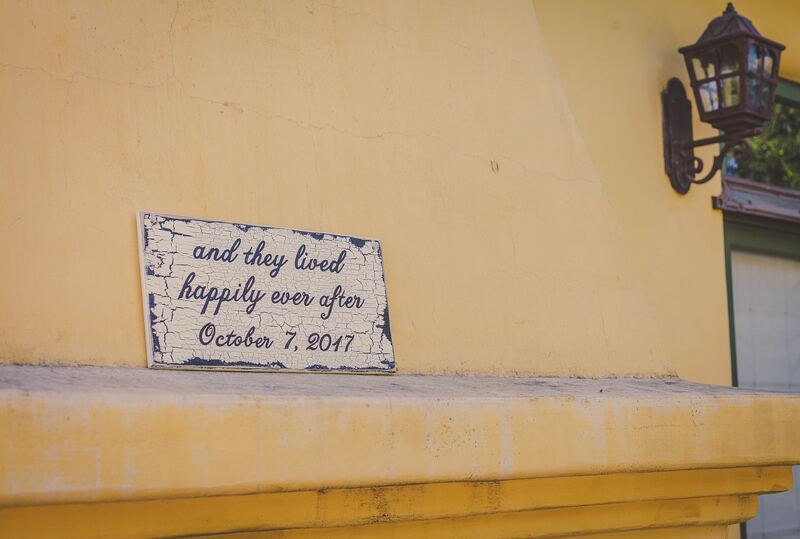 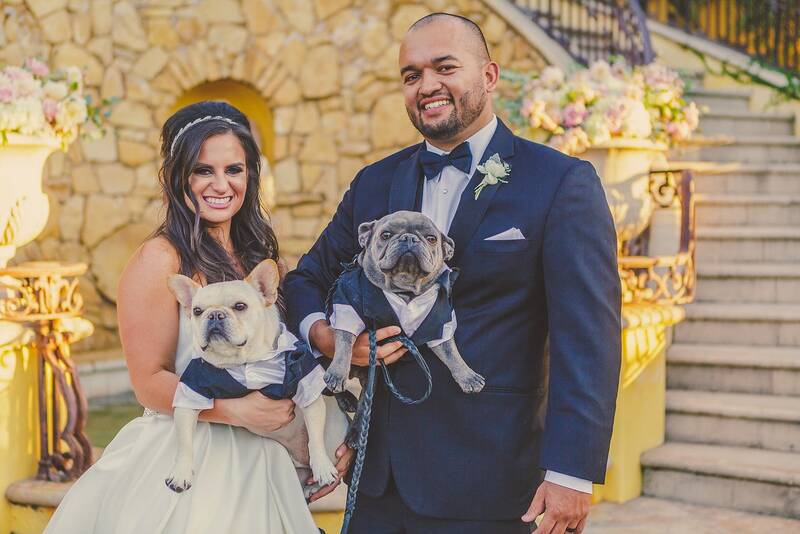 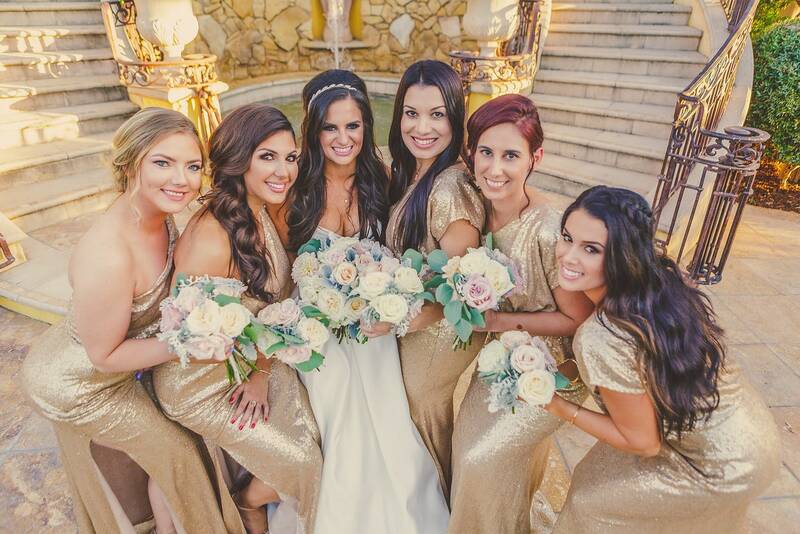 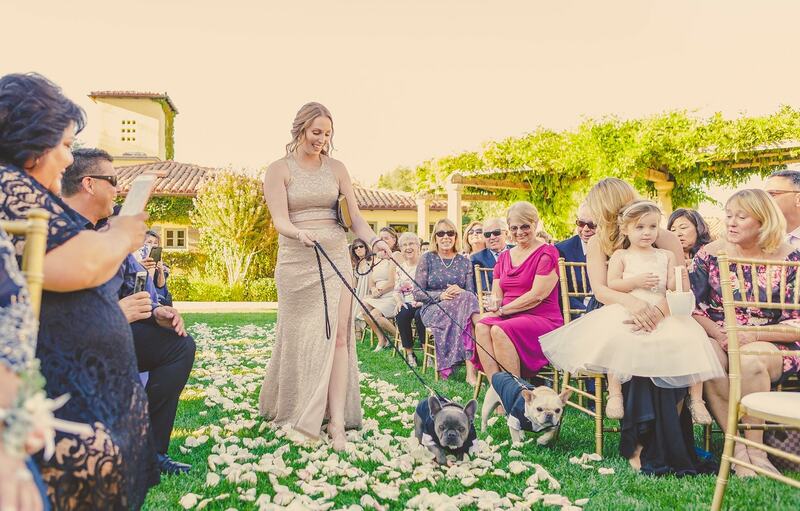 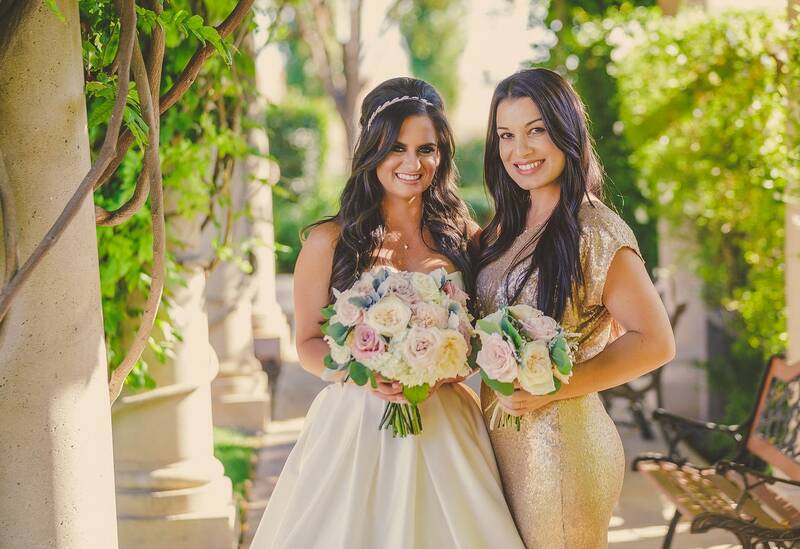 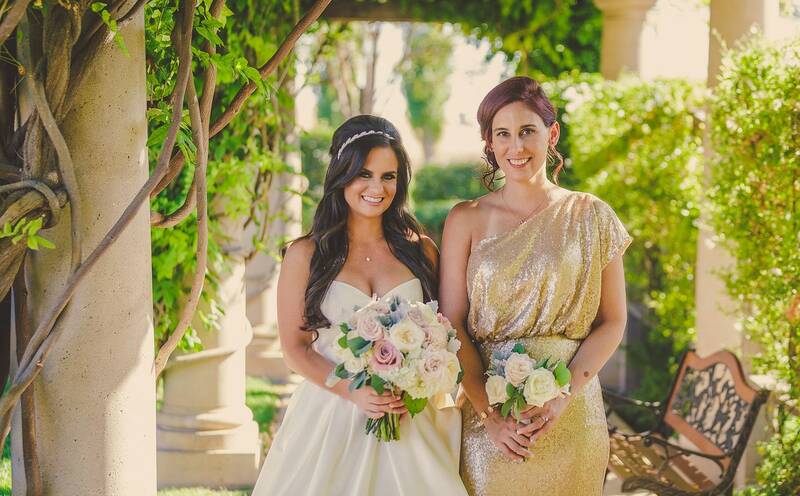 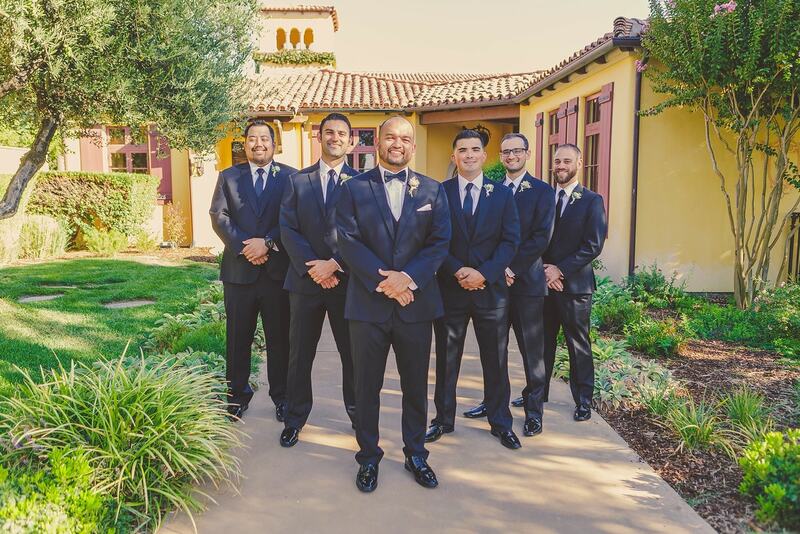 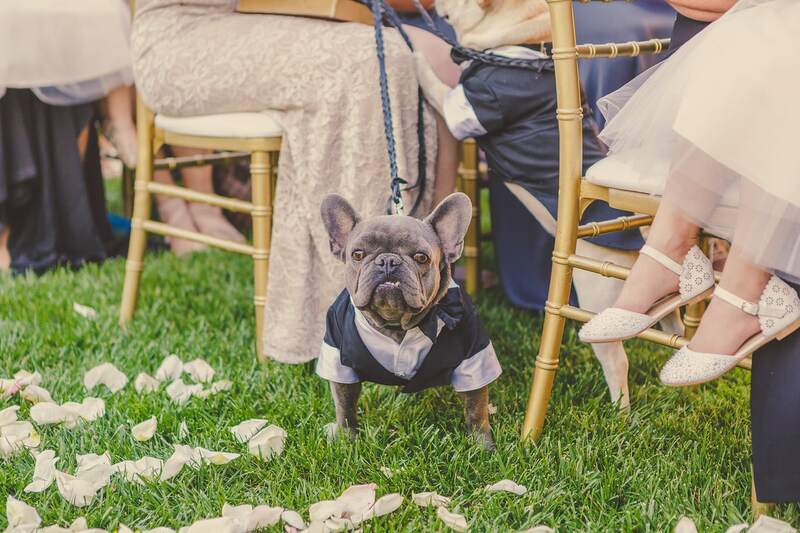 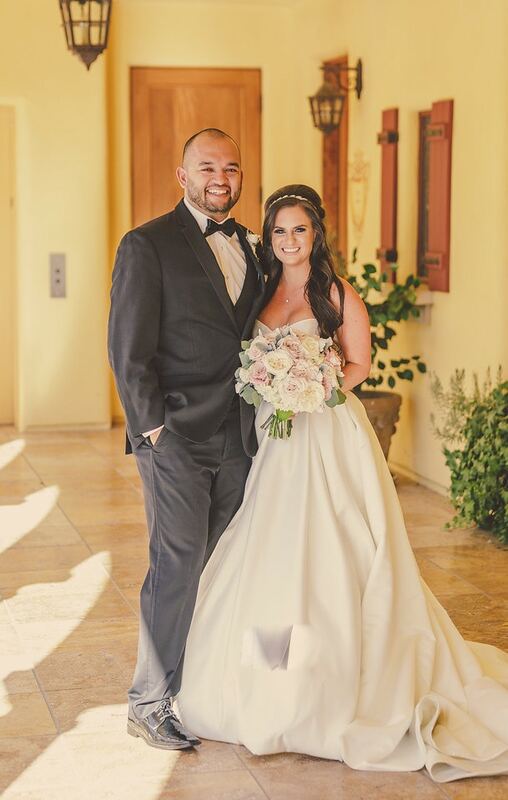 The Hernandez wedding was classically glamorous, with a gorgeous color scheme of Gold, Ivory, and Blush and had unique components, like Emily and Carlos’ beloved French Bulldogs, in the cutest little doggy tuxedos, being escorted down the aisle during their ceremony. 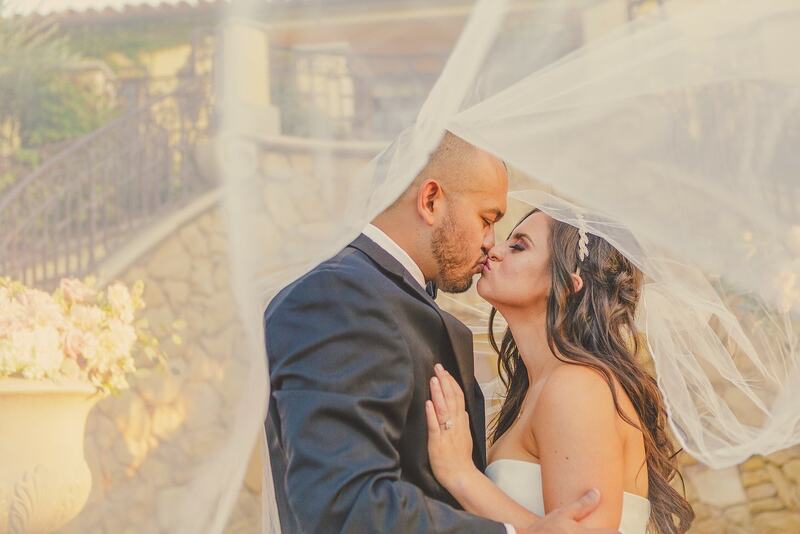 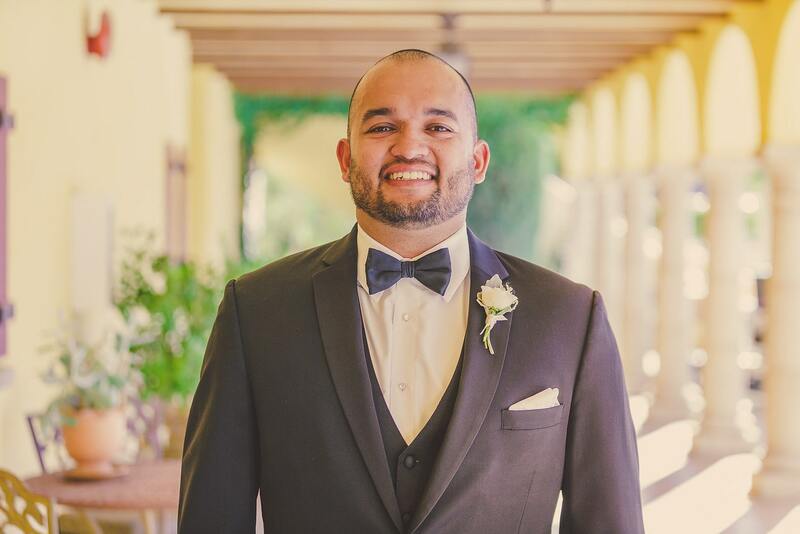 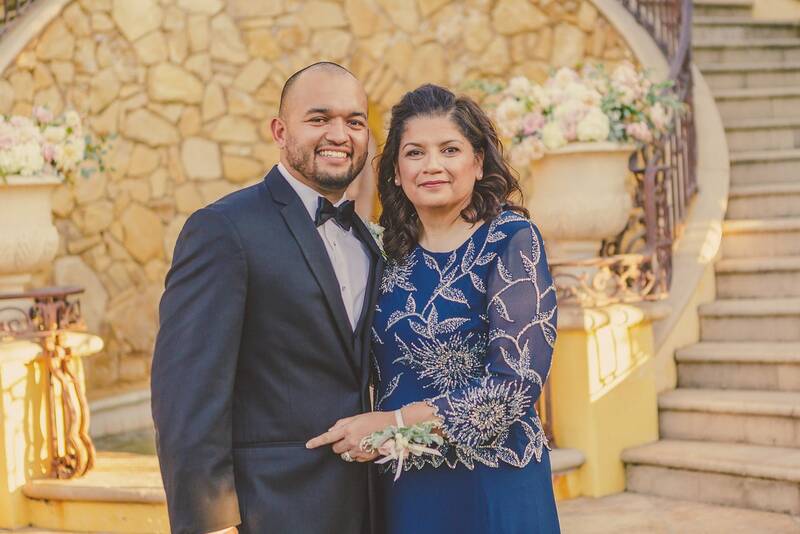 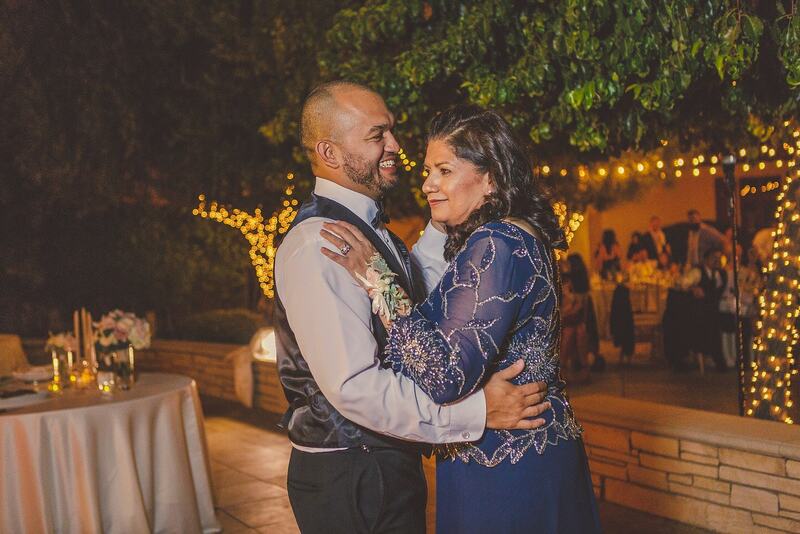 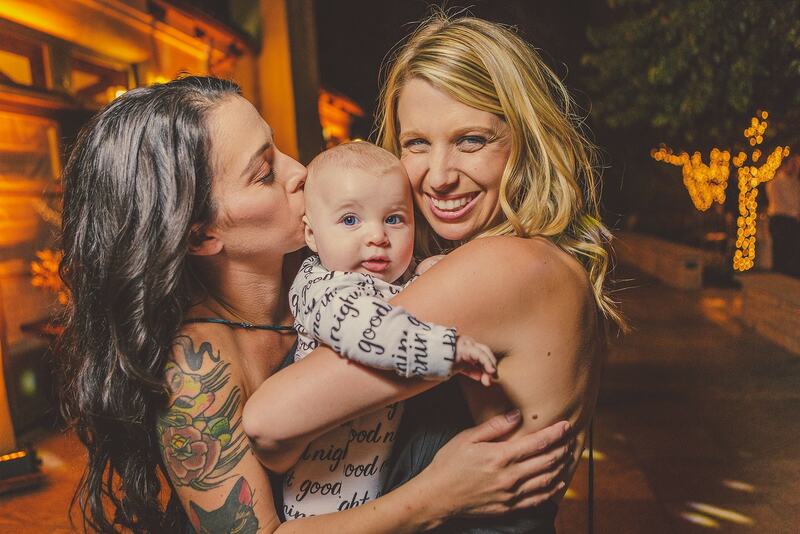 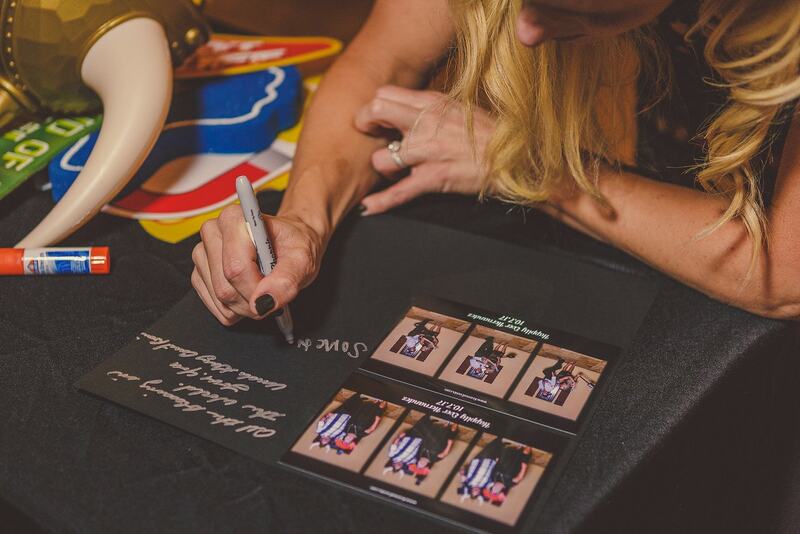 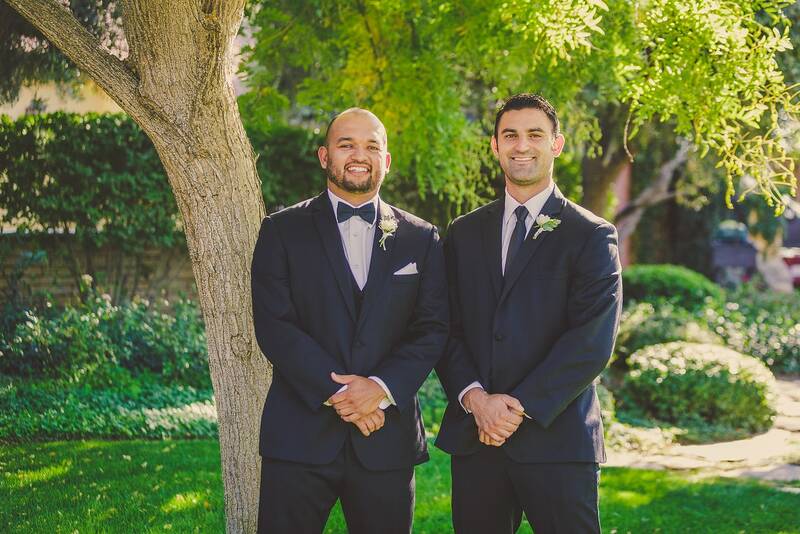 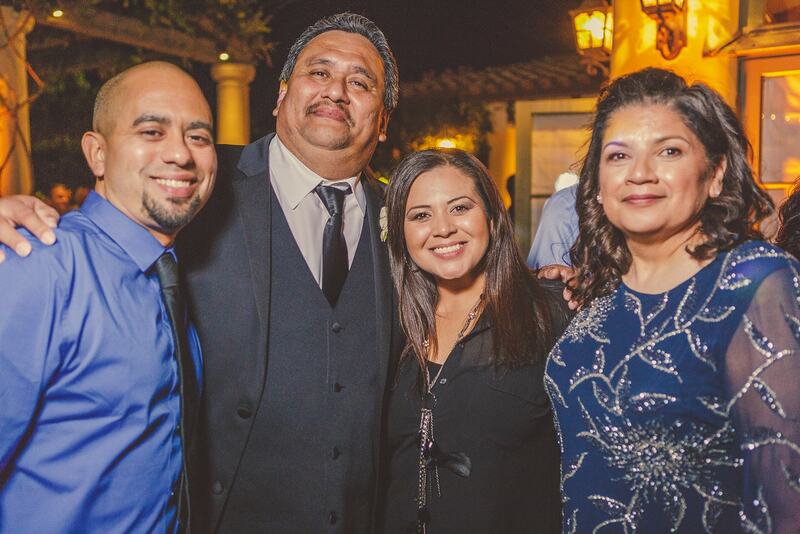 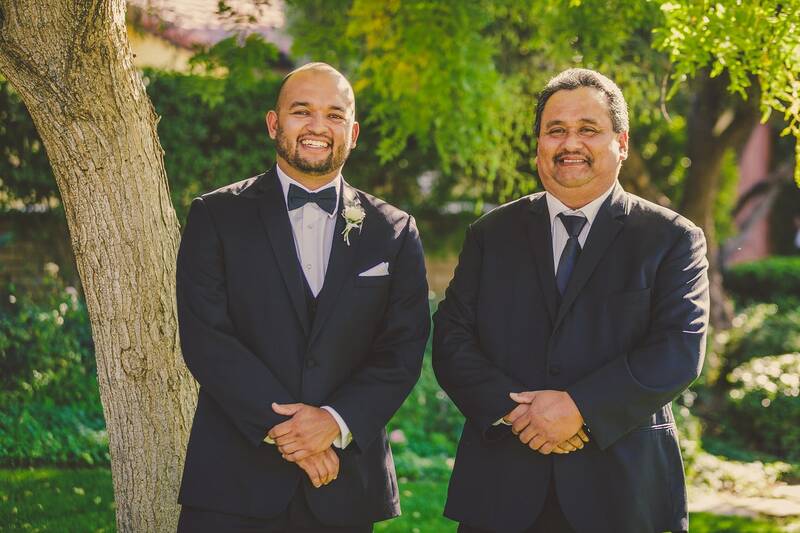 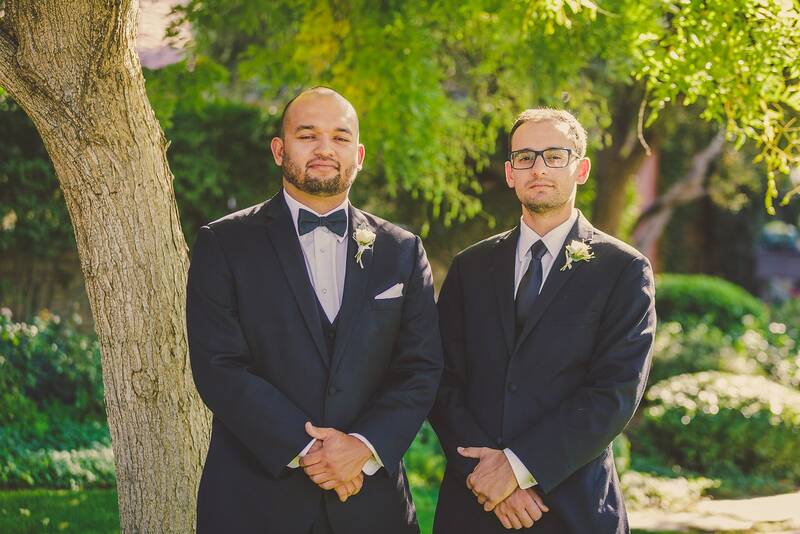 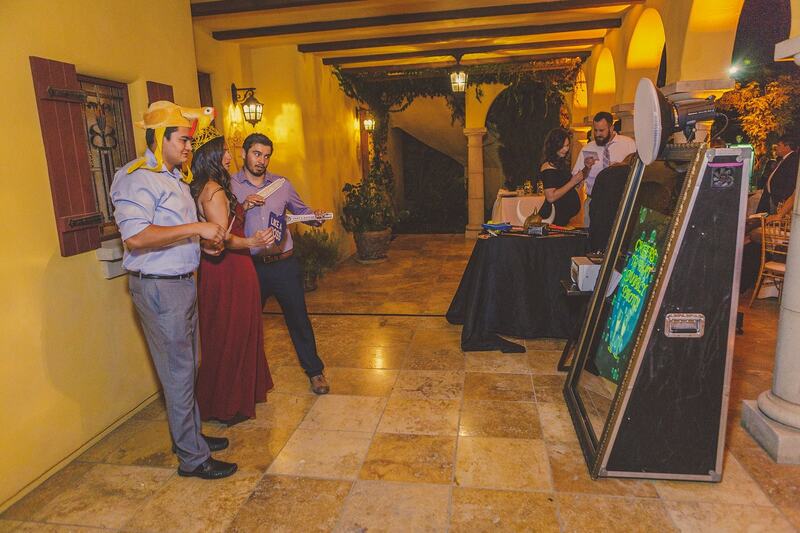 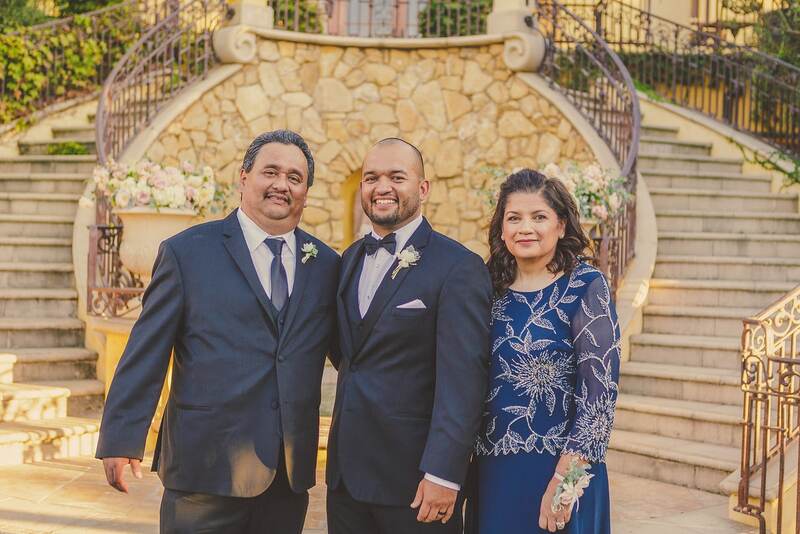 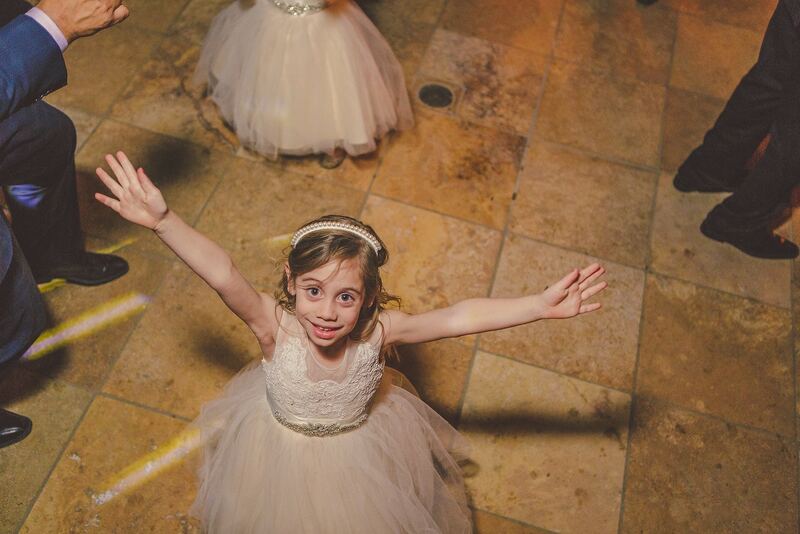 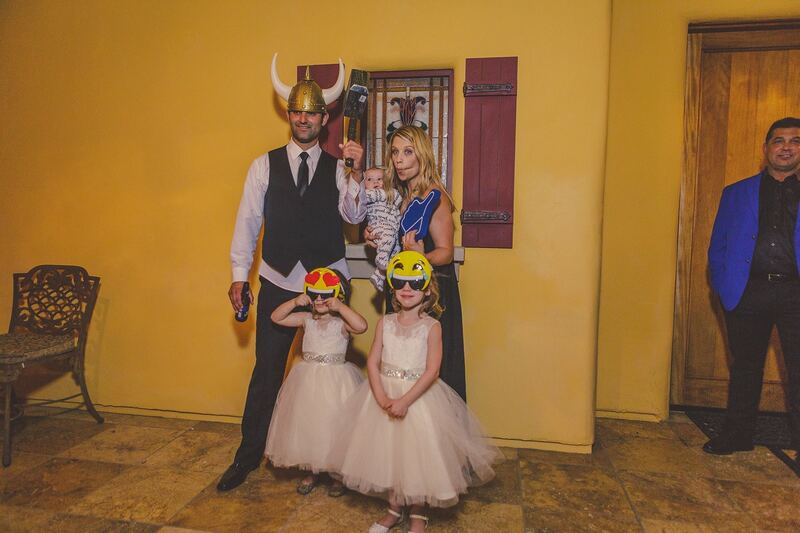 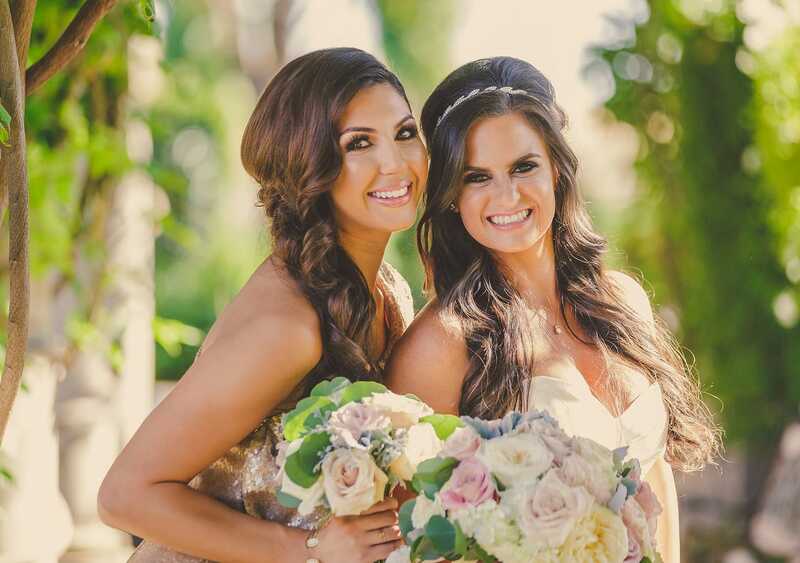 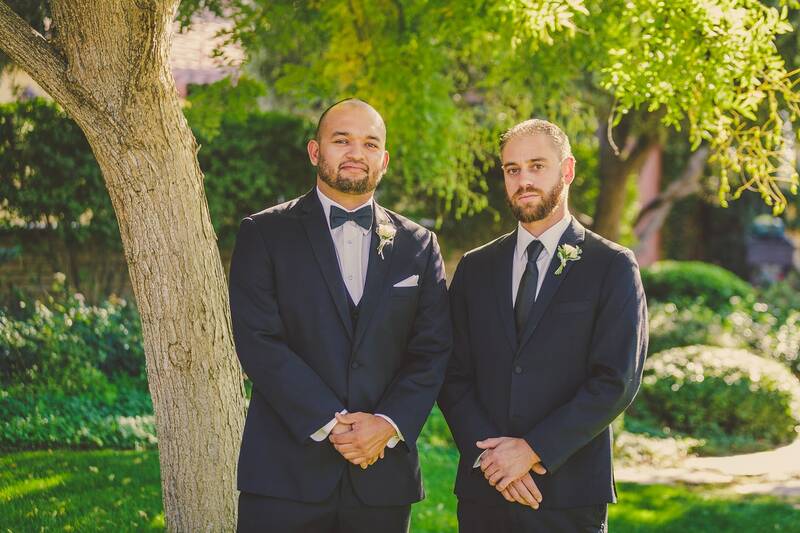 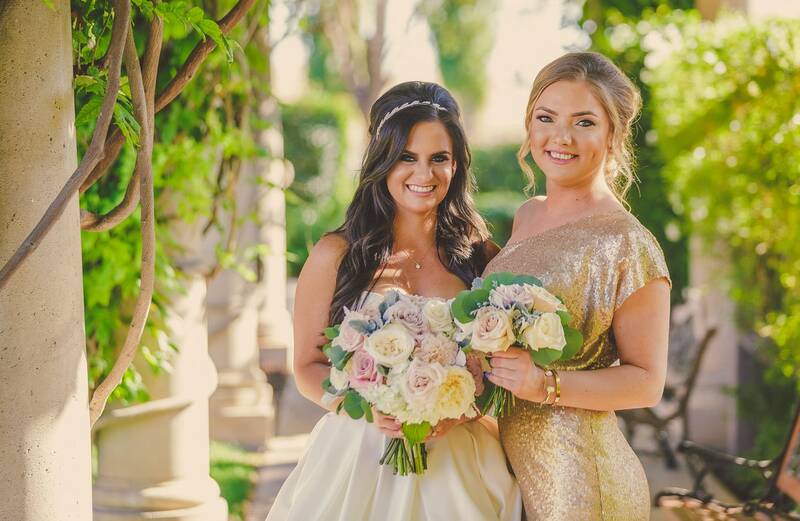 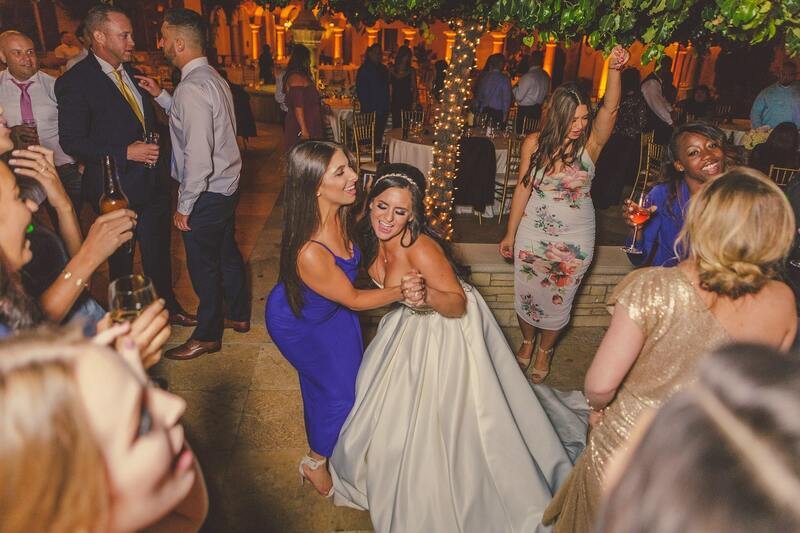 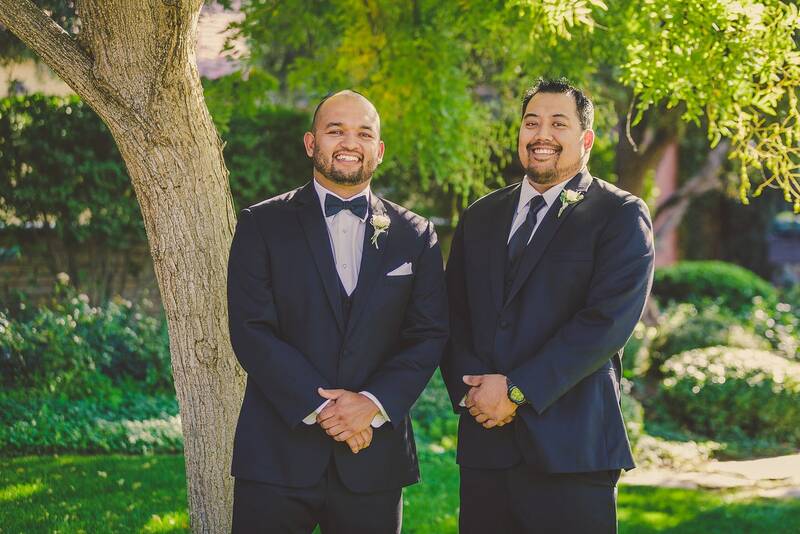 The Kramer Events team had the pleasure of providing Dj, Coordination, Photography, Videography, Lighting, and Photobooth services to complete this couple’s special day, alongside the CaliPaso in-house catering staff and some other great local vendors.